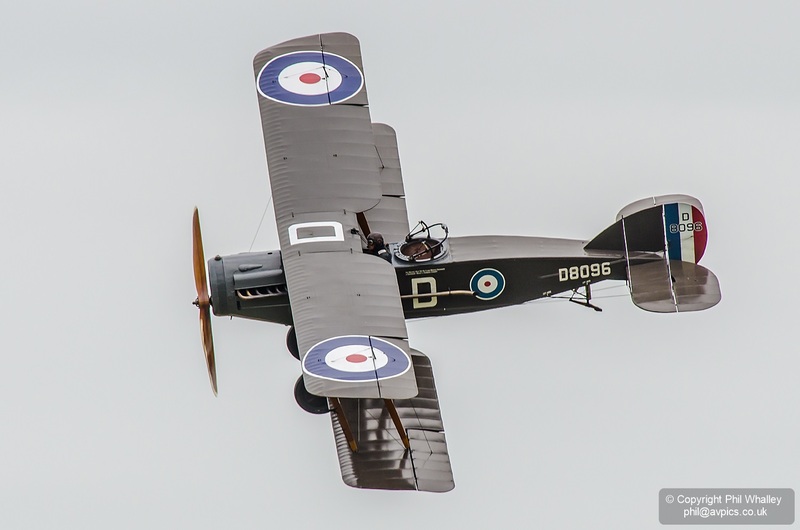 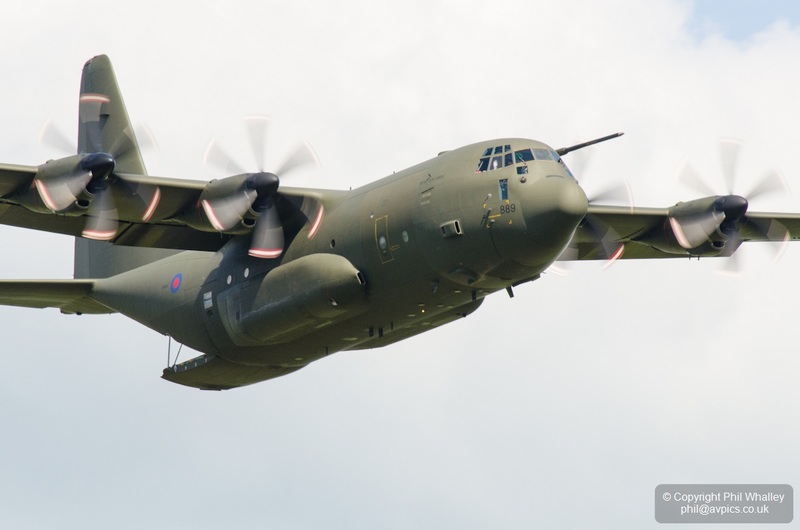 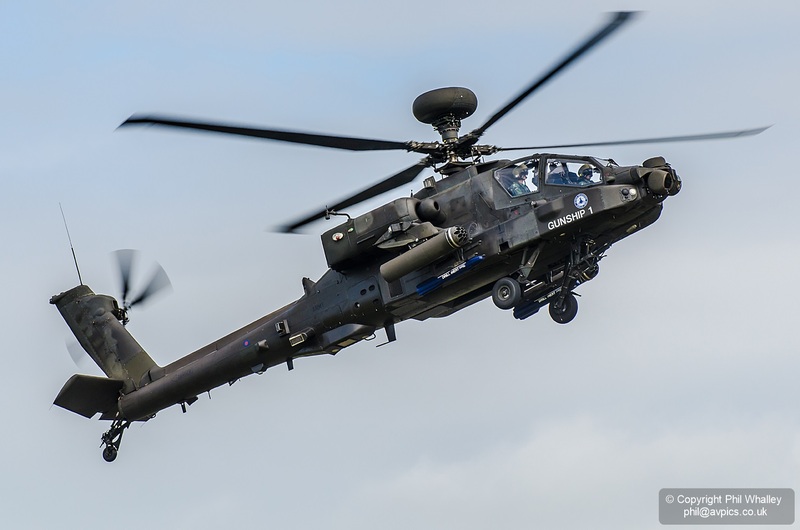 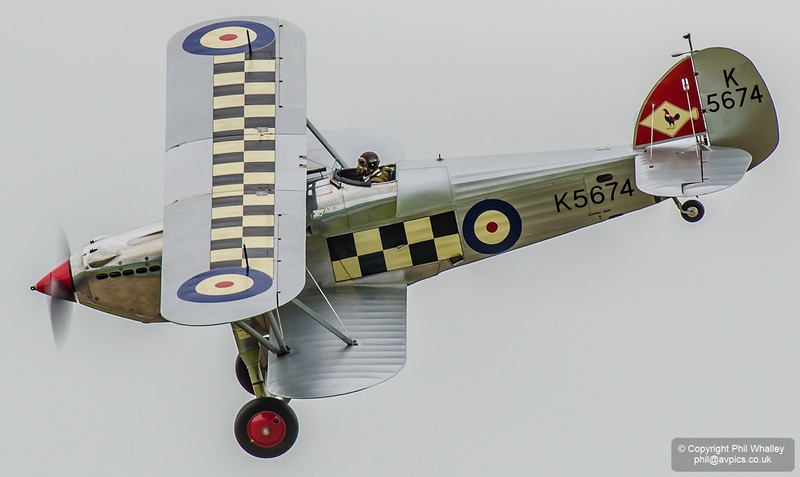 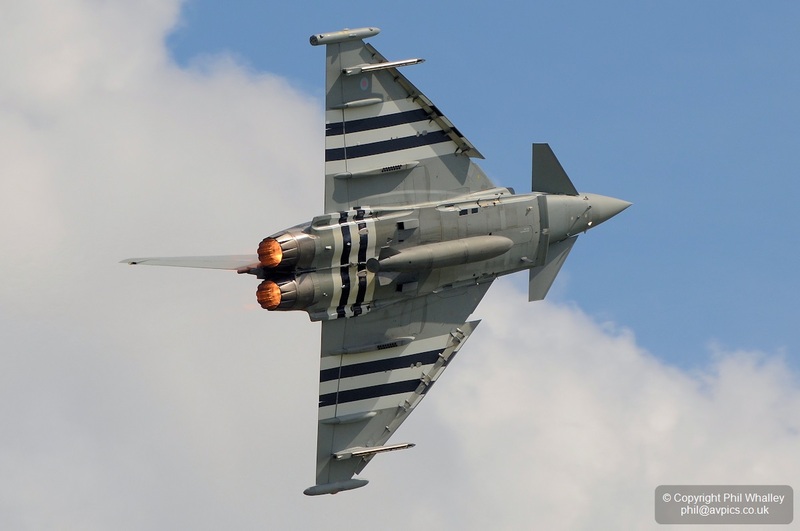 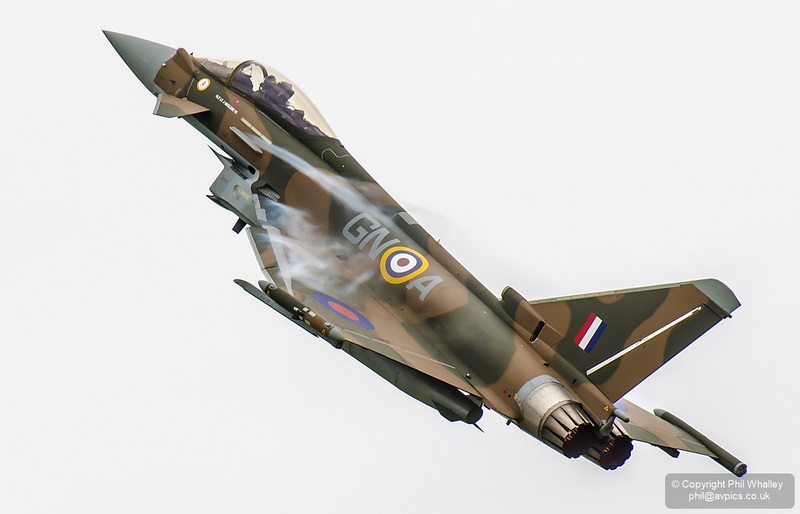 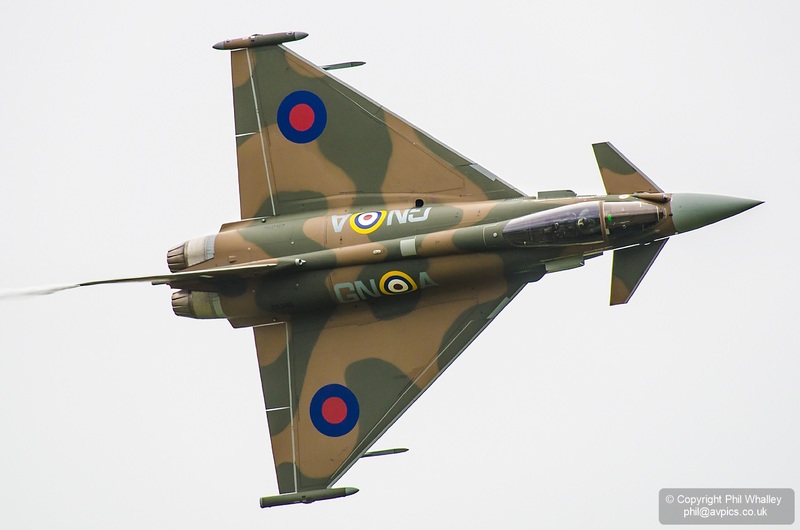 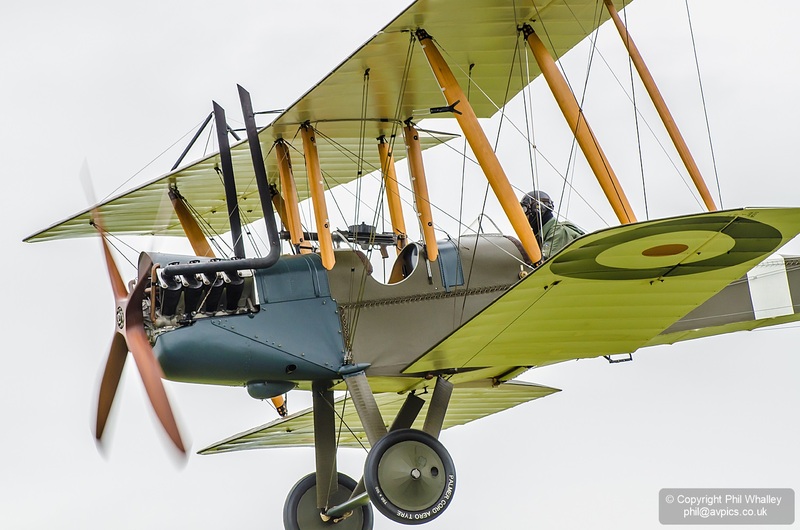 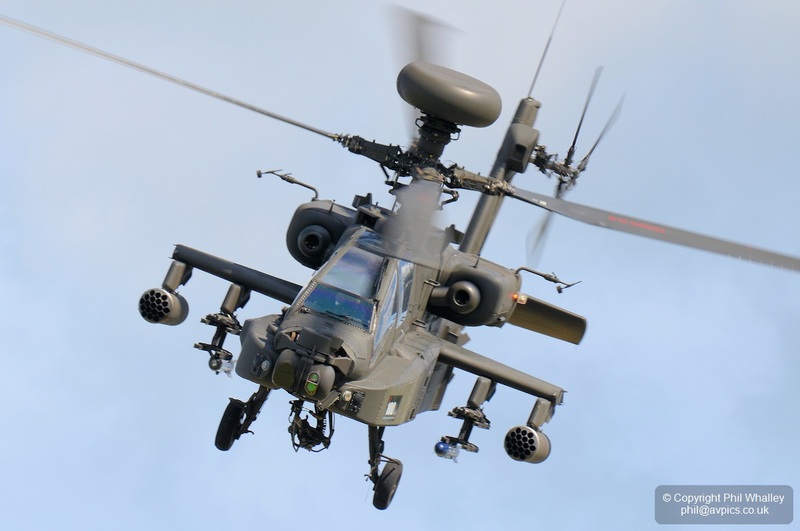 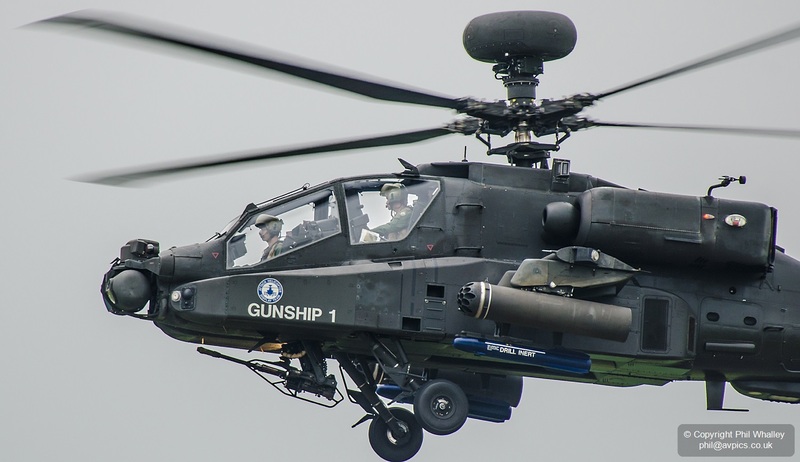 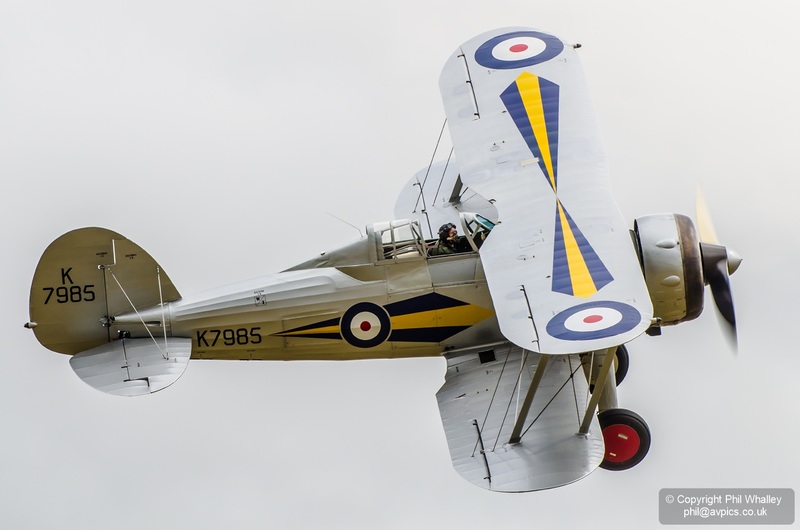 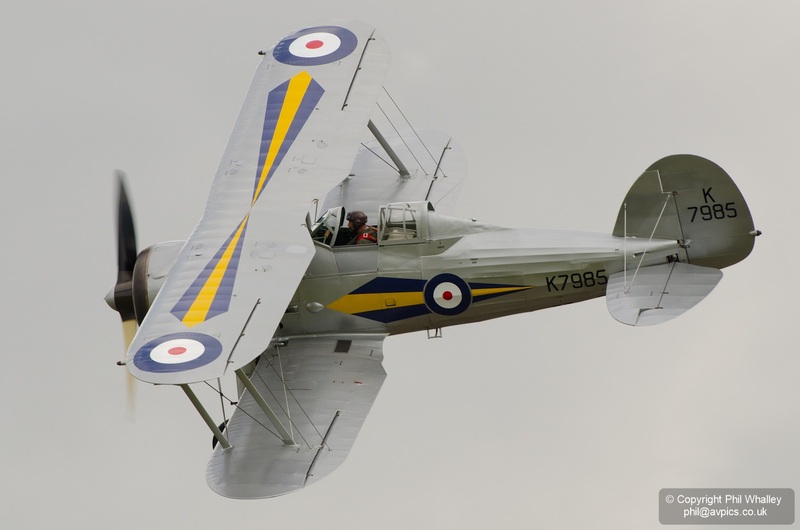 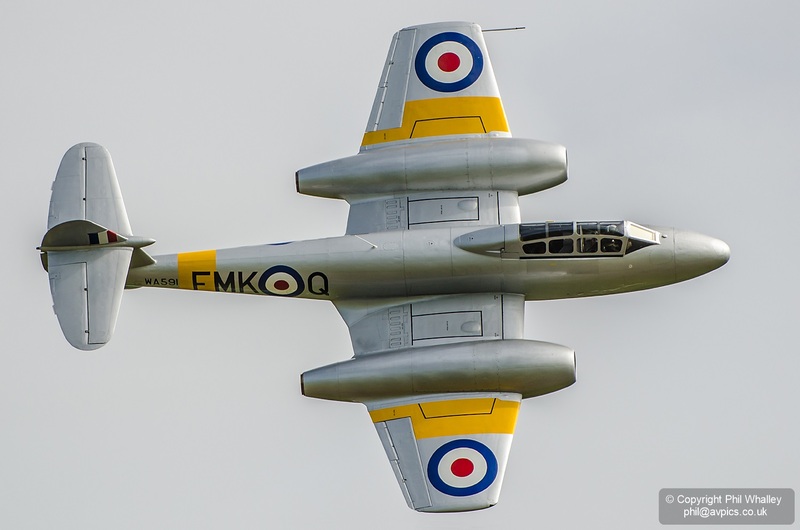 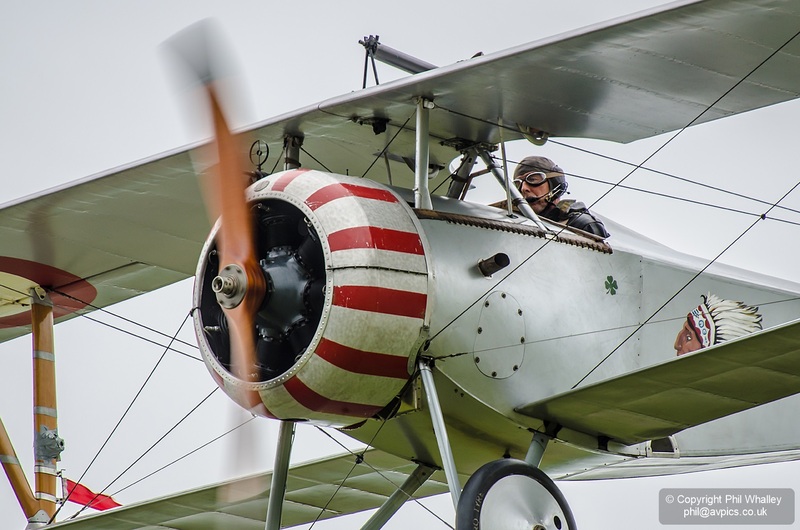 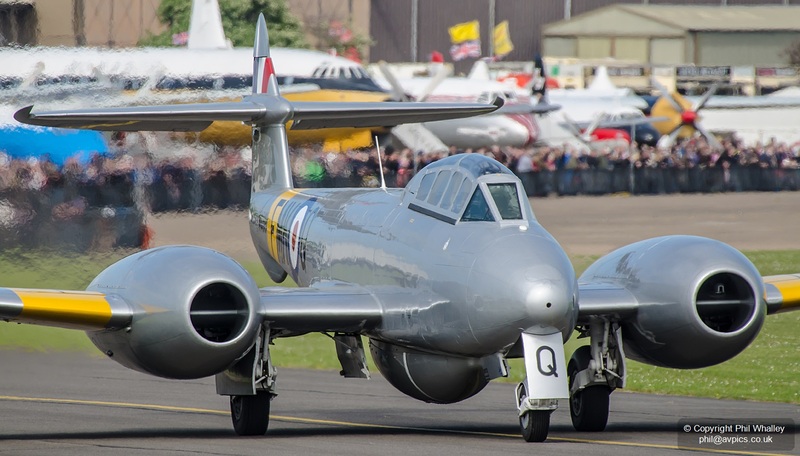 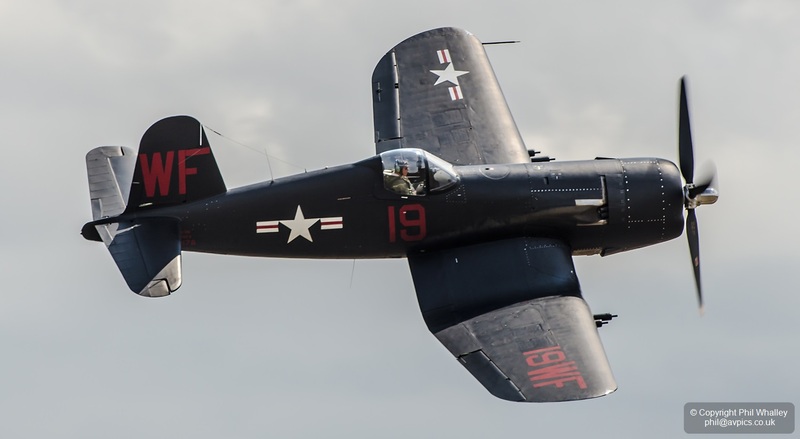 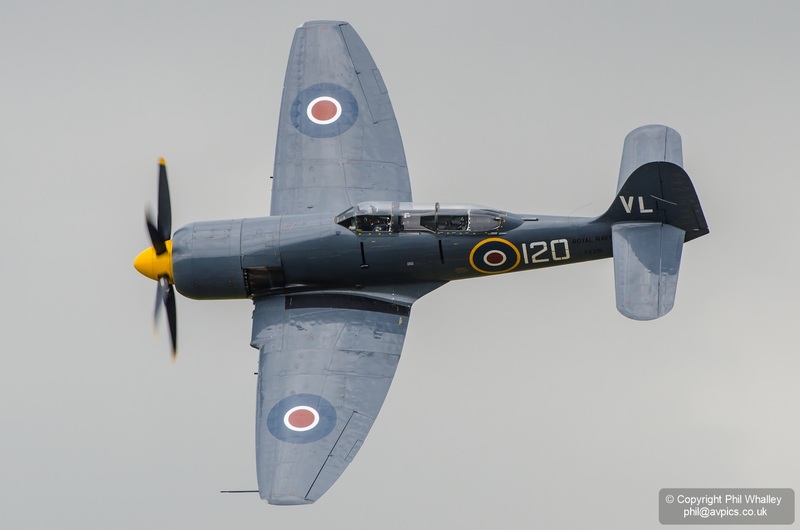 The first airshow of the year at IWM Duxford offered a very varied and full flying programme spanning from Great War to present day military machinery, with much in between. 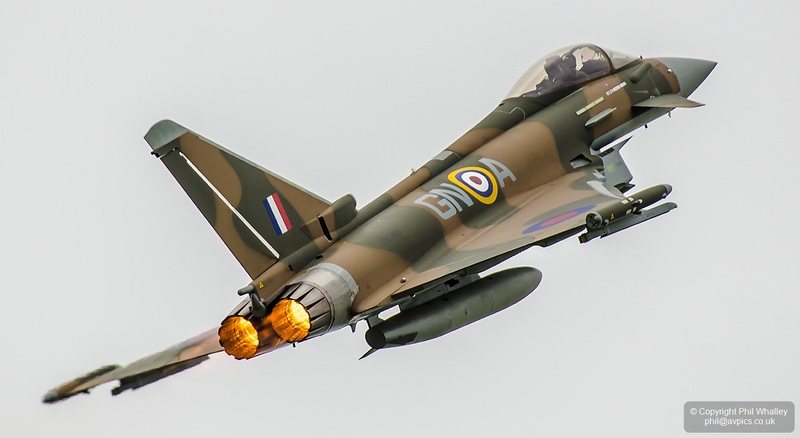 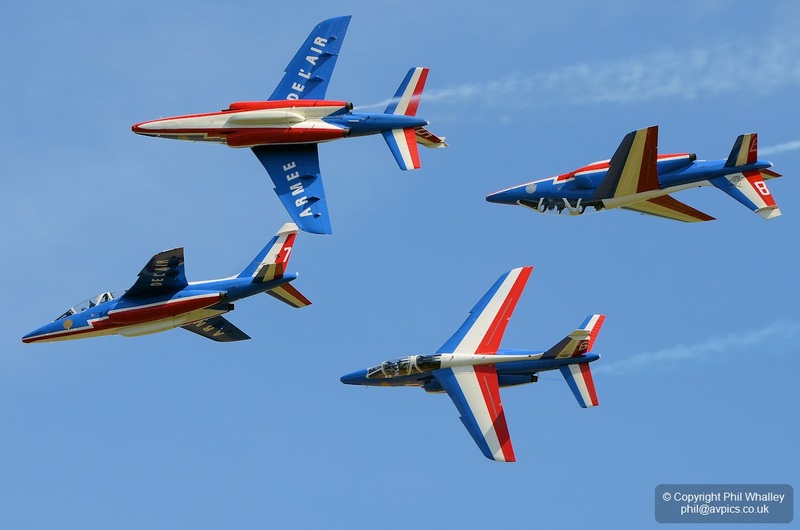 Undoubted highlight was the Rafale of the Armee de l’air which outshone the RAF’s Typhoon, though the latter is still a powerful routine. 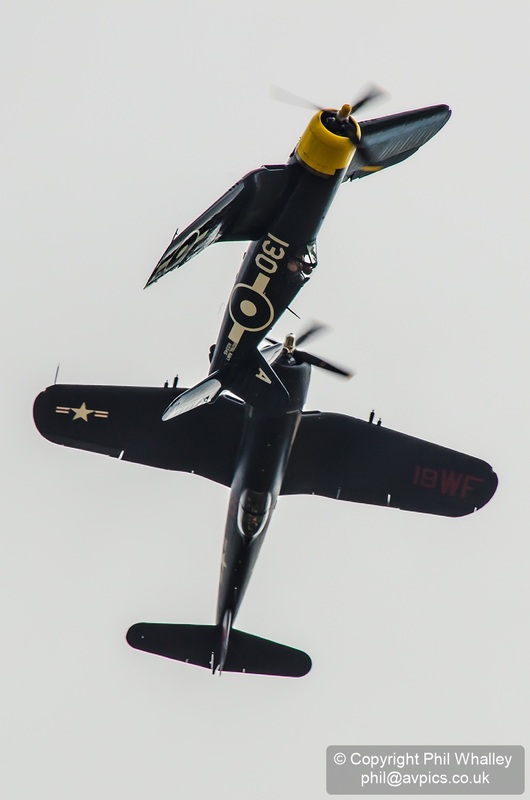 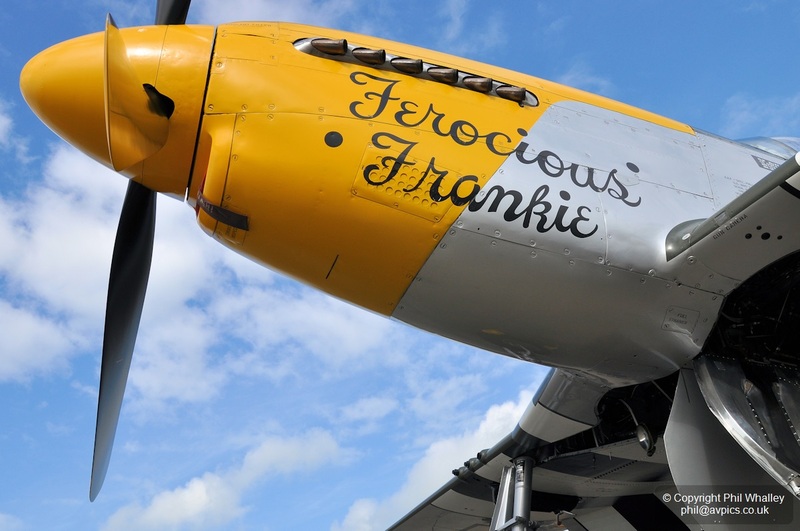 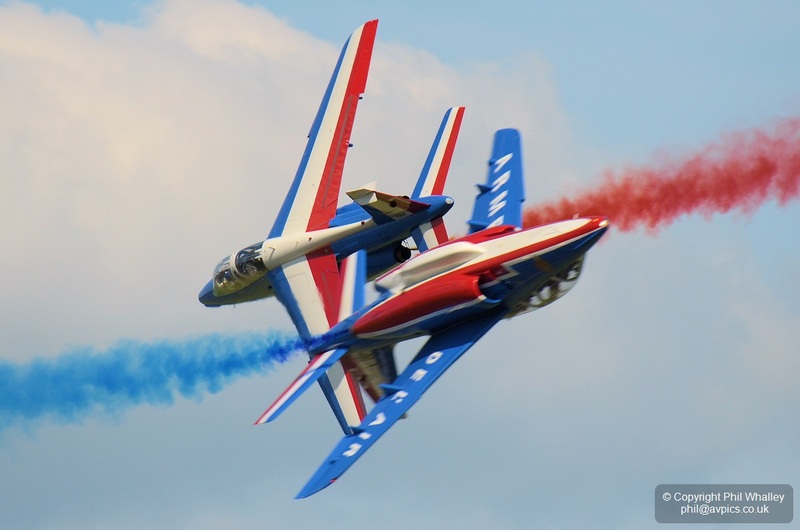 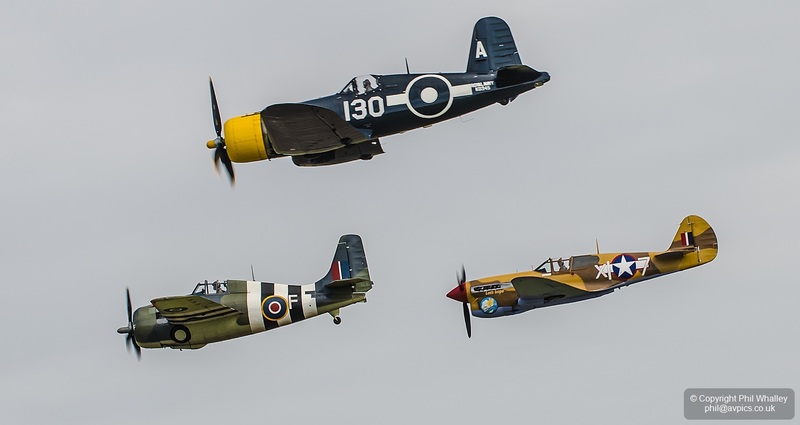 There was a distinct lack of warbirds for a Duxford show, but that made for a more varied event. 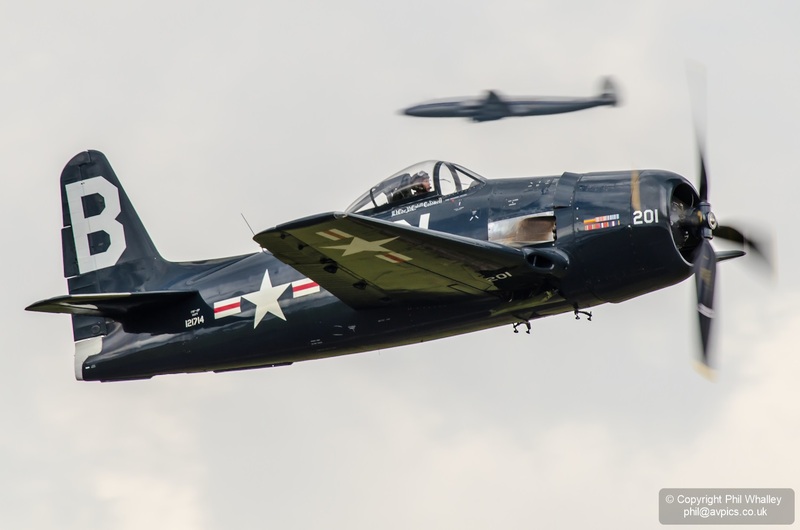 The Sea Vixen had displayed on the Saturday but suffered a wheels-up landing back at base after a hydraulic failure, and the MiG-15 was scrubbed at the end of the show. 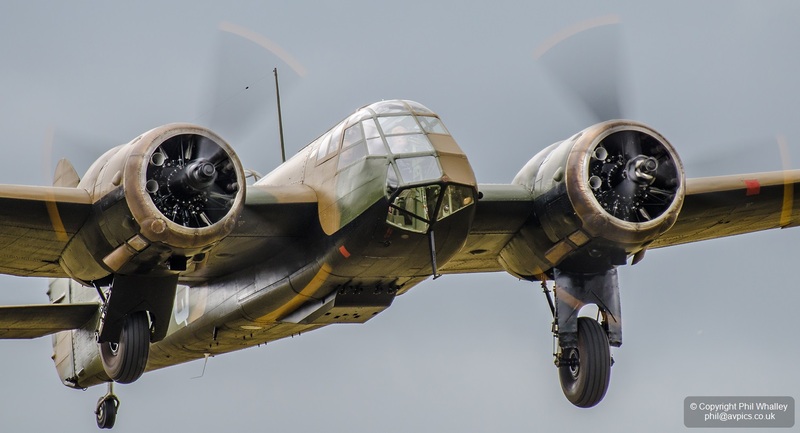 This show was always going to be remembered for the public display debut of ARCo’s Bristol Blenheim Mk.IF, but it offered a great deal more, with HAC’s Hawker Fury also debuting, and a number of other new schemes and rarely seen aircraft – such as HAC’s Hurricane in Polish Sqn. 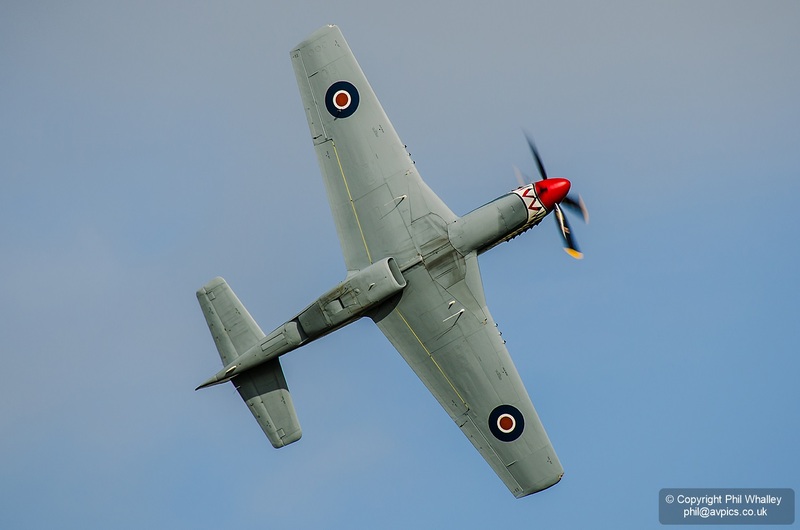 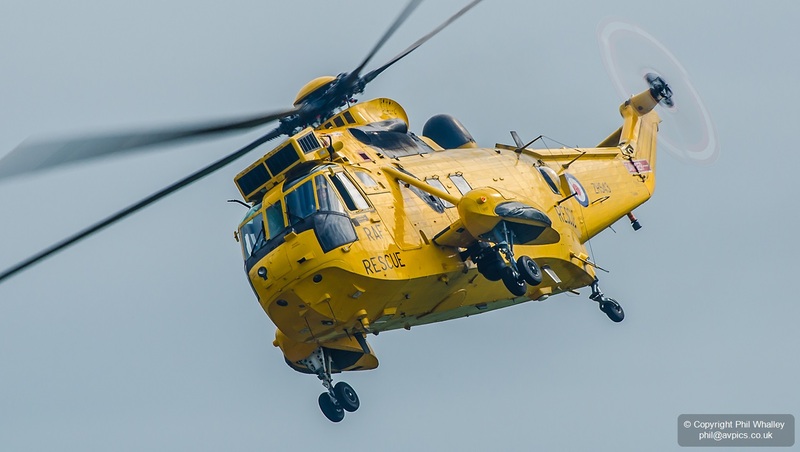 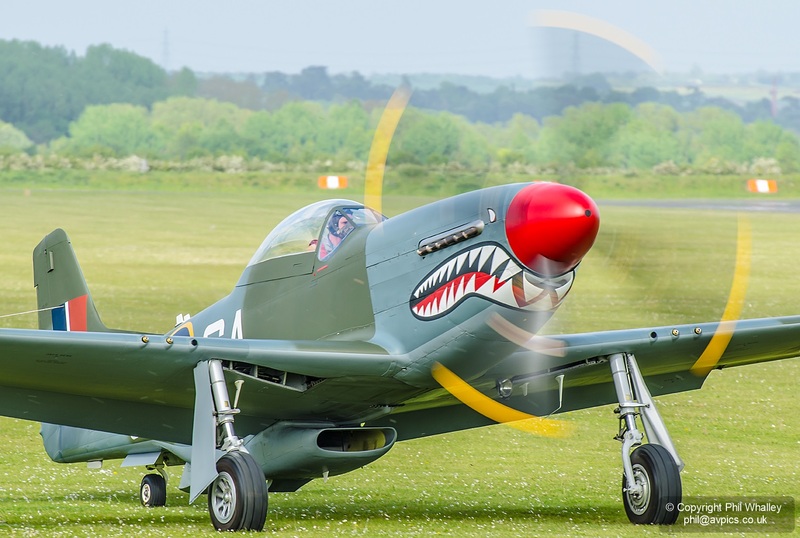 colours, the beautiful ‘Mystery Ship’, Norwegian Spitfire Foundation’s Mustang ‘The Shark’ (previously a regular at UK airshows as ‘Old Crow’), and for many a final chance to see a Sea King display before the type is retired from service. 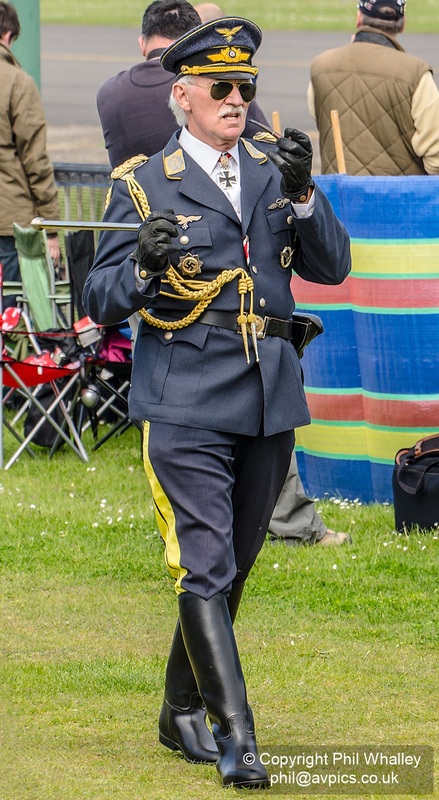 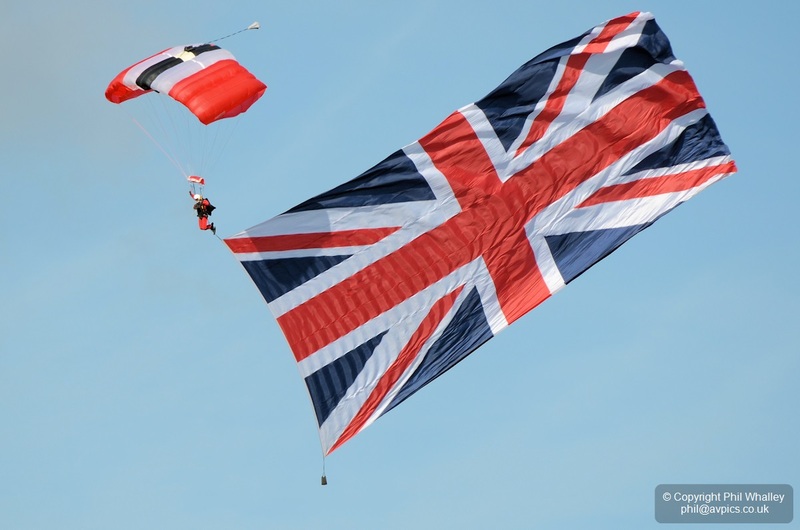 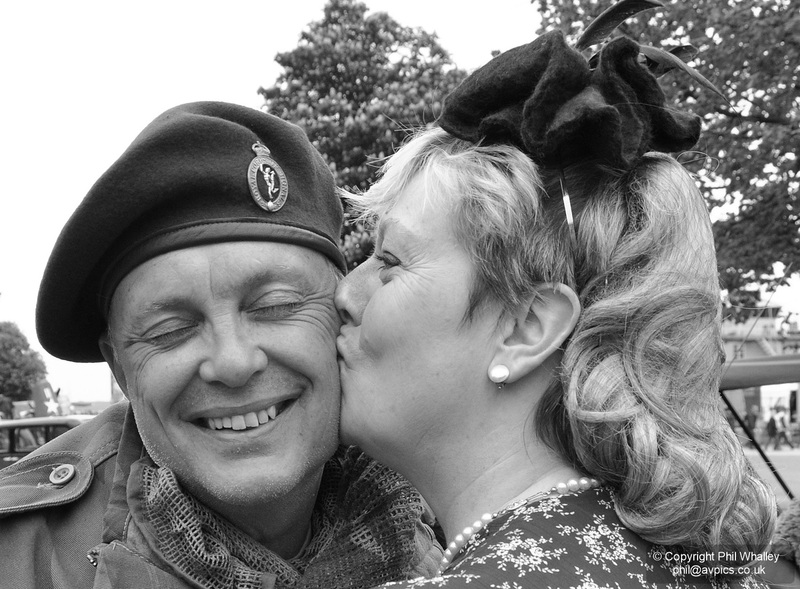 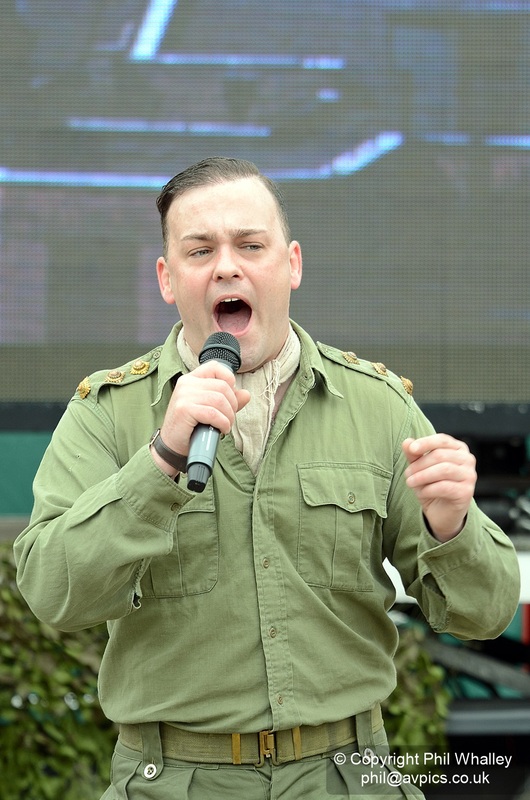 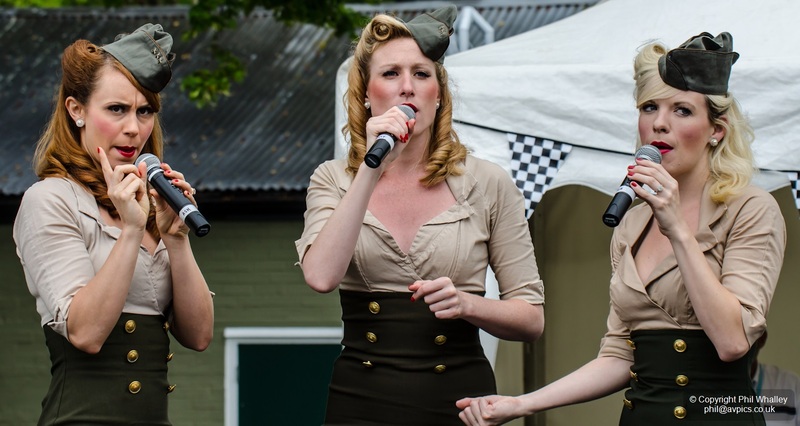 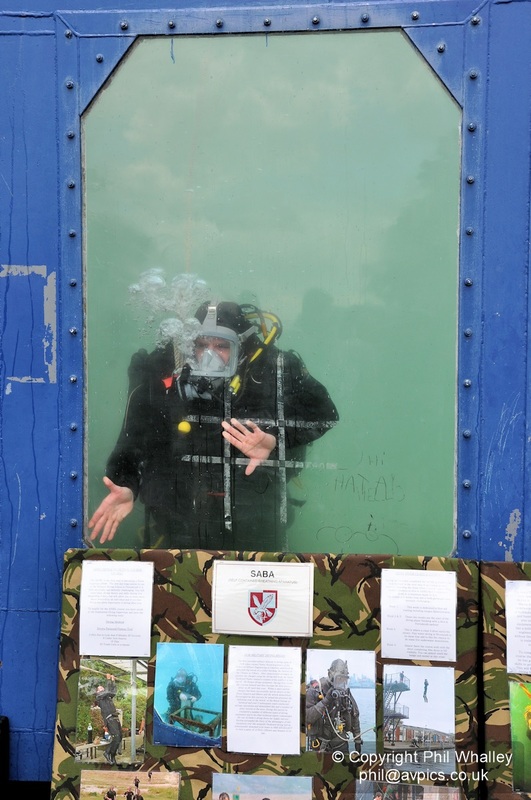 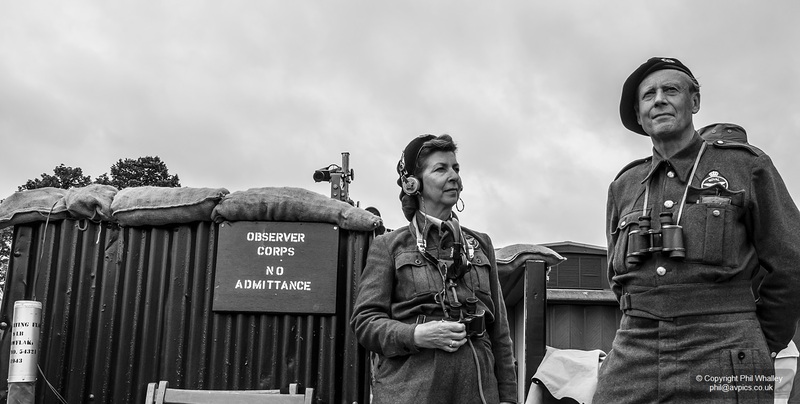 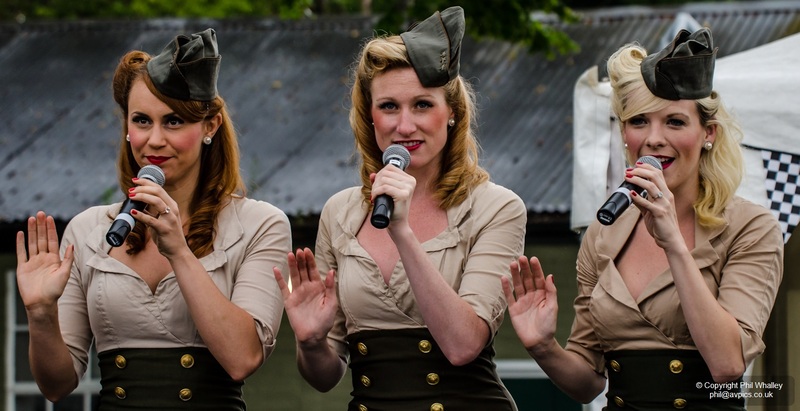 Ground events focused on the VE Day theme, with visitors encouraged to join in with the celebrations. 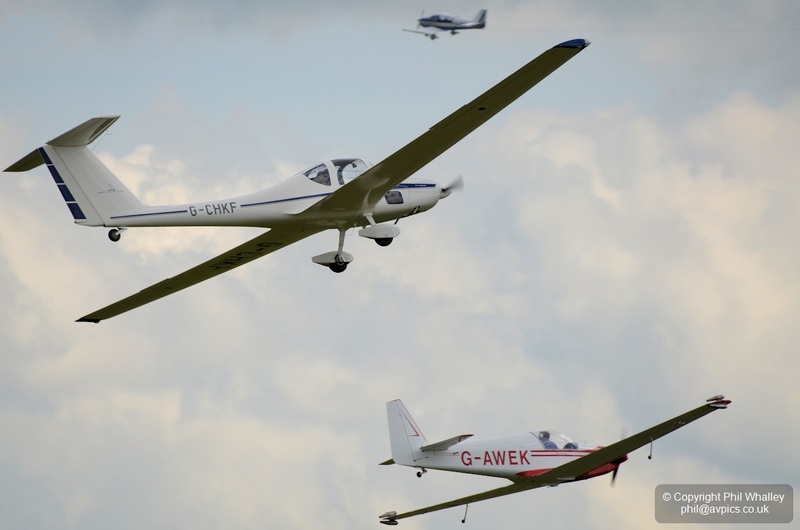 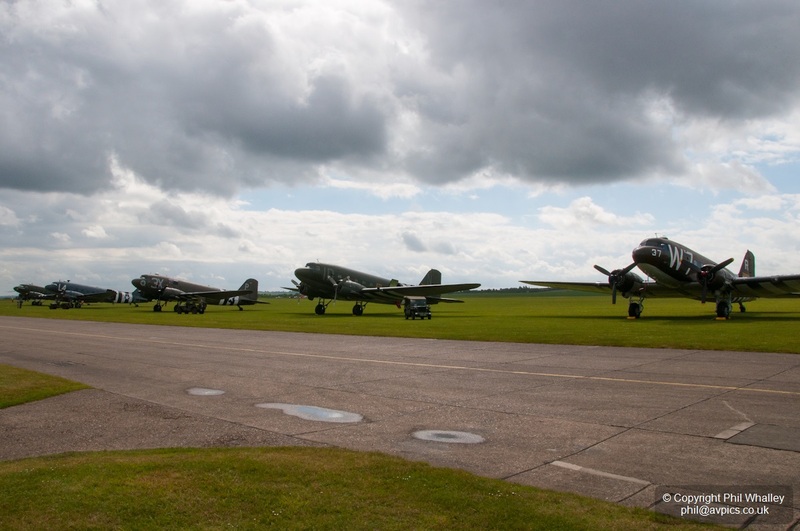 Sadly the weather remained overcast for most of the day, just about breaking for the final acts of a highly original and enjoyable flying programme. 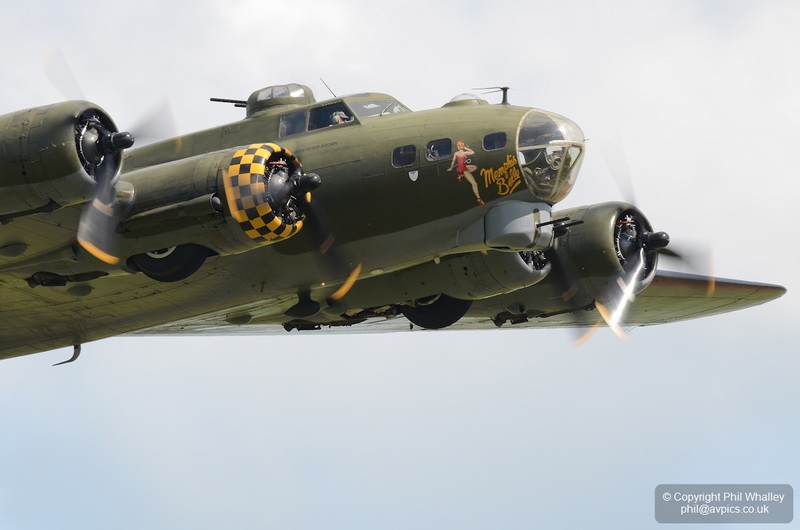 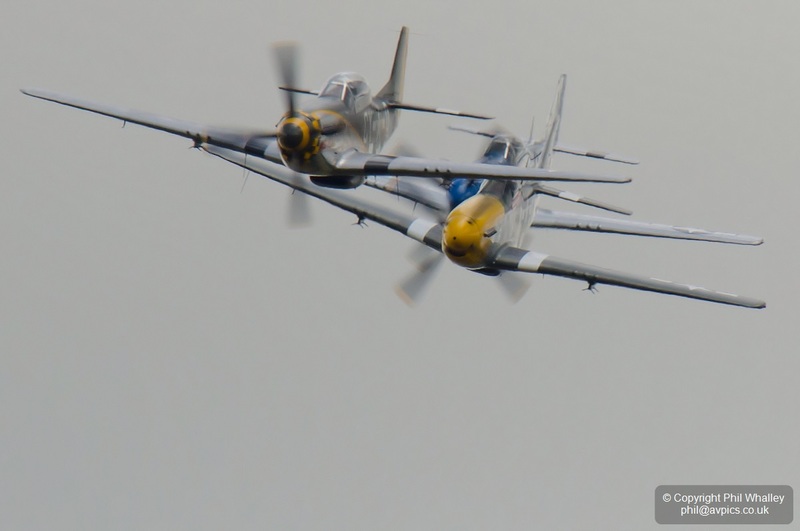 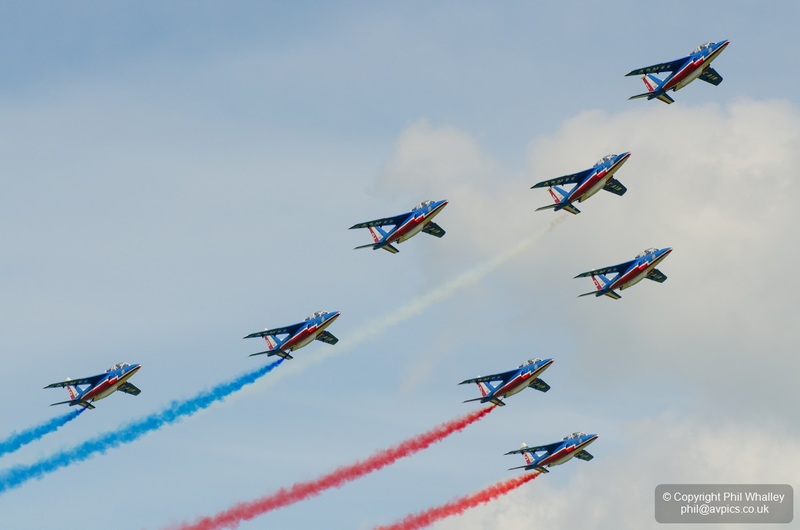 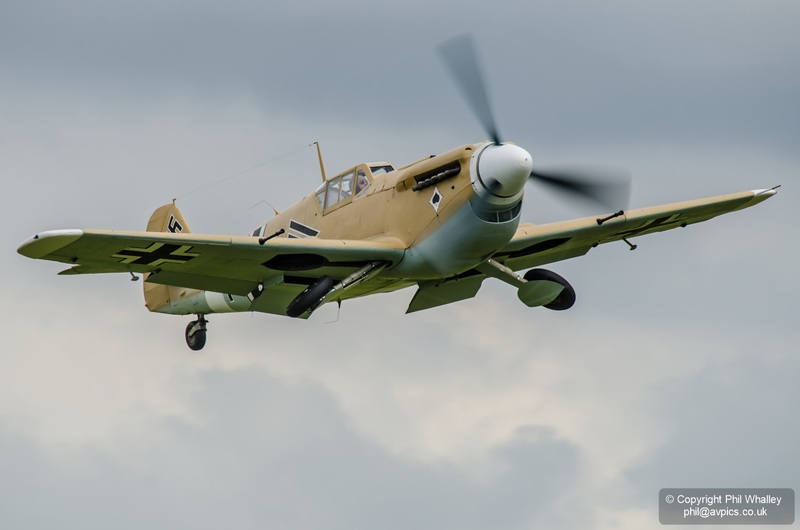 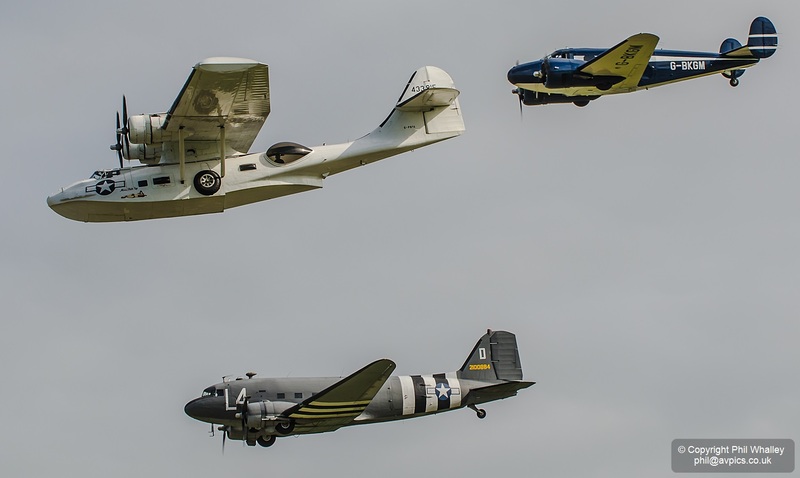 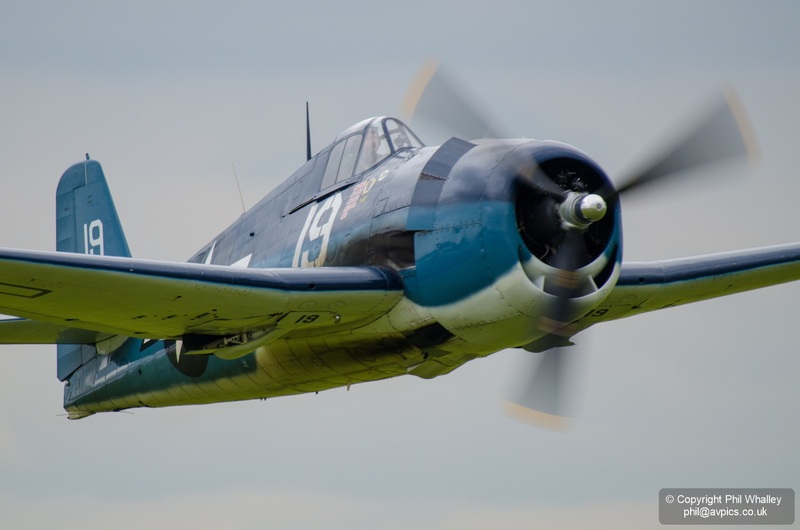 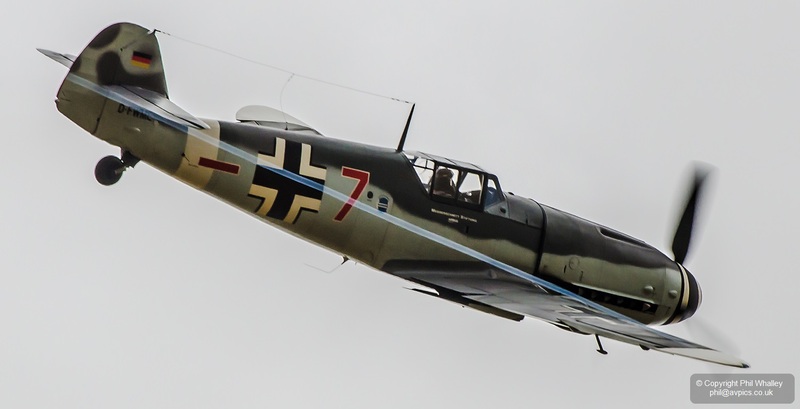 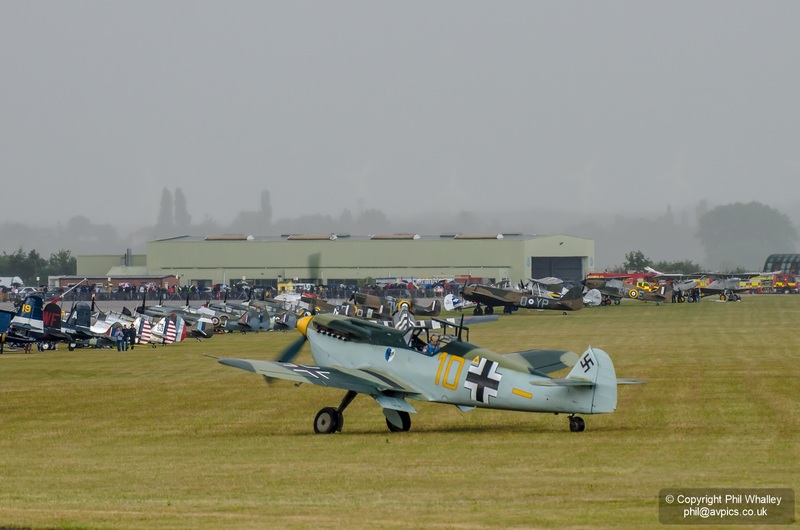 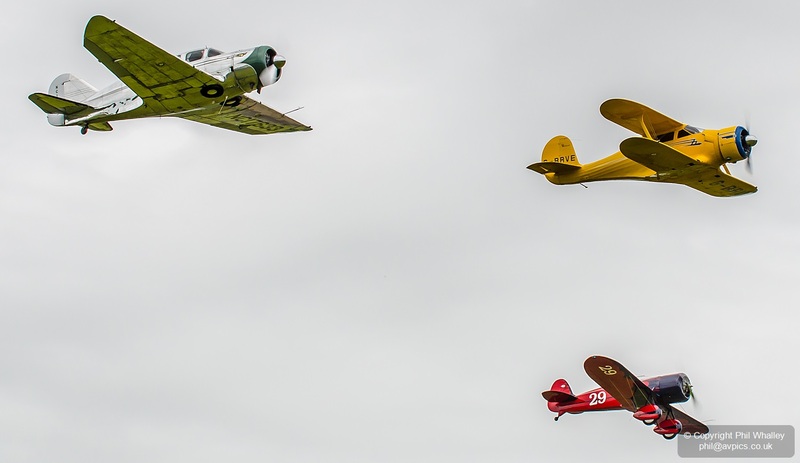 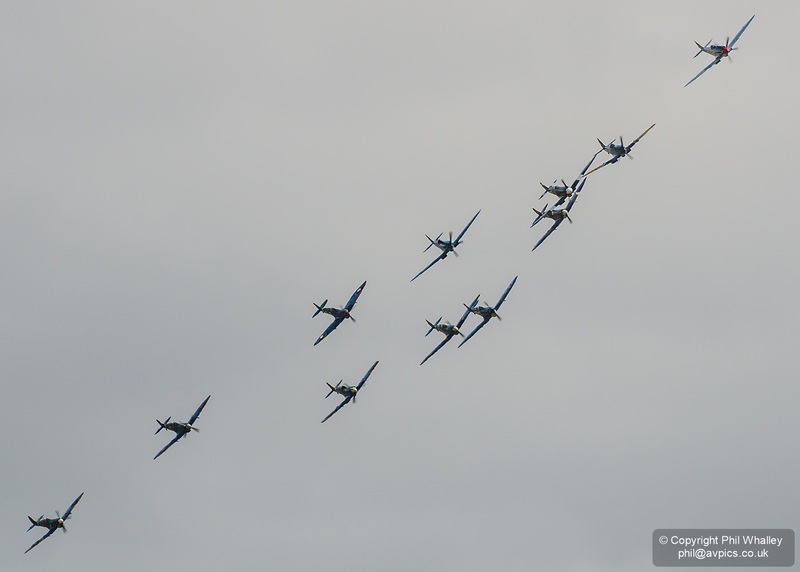 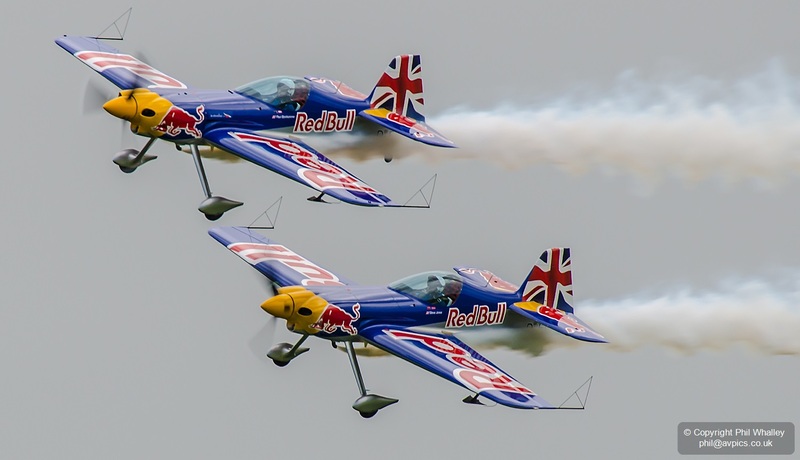 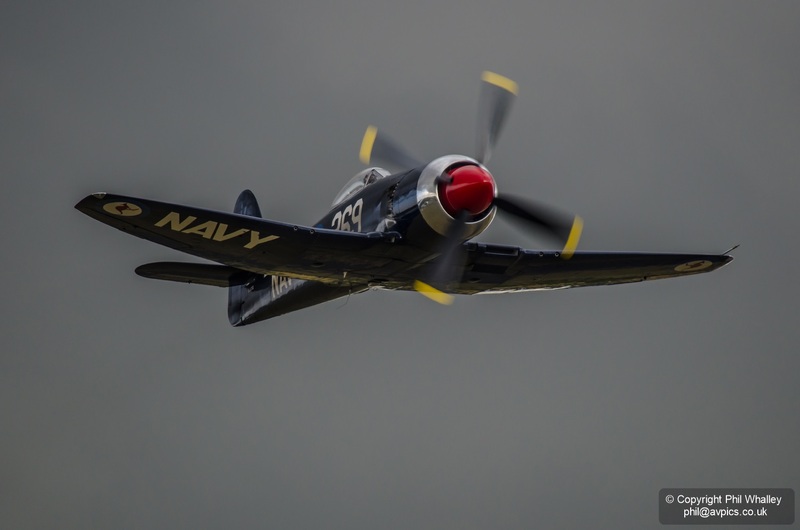 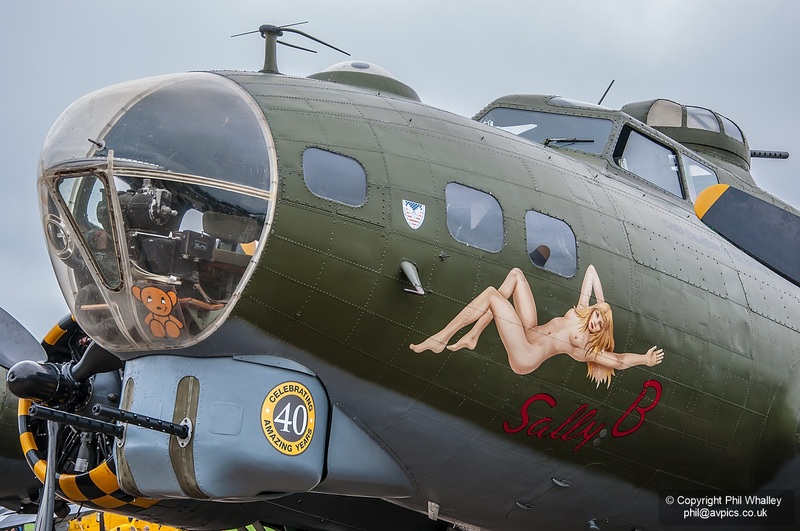 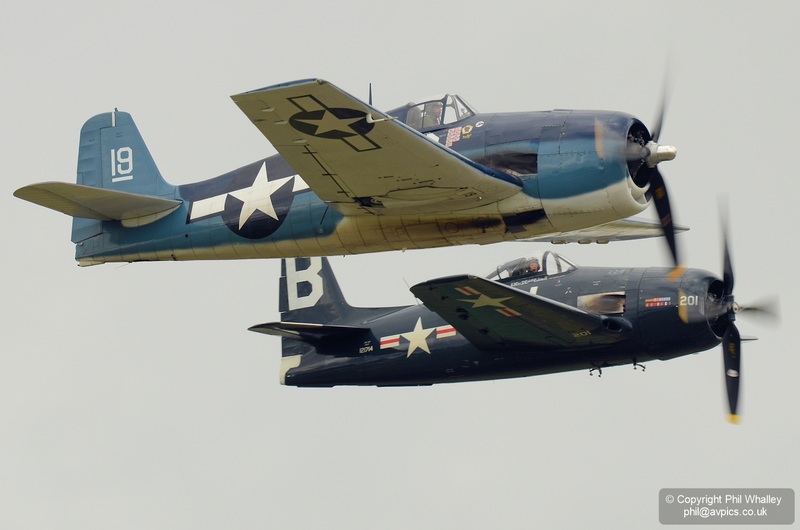 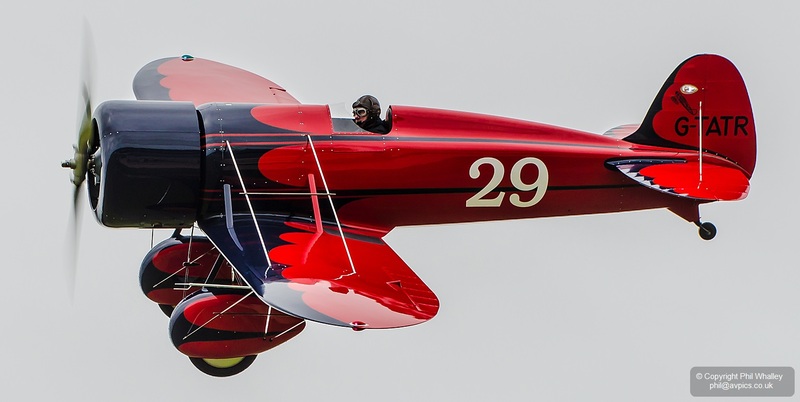 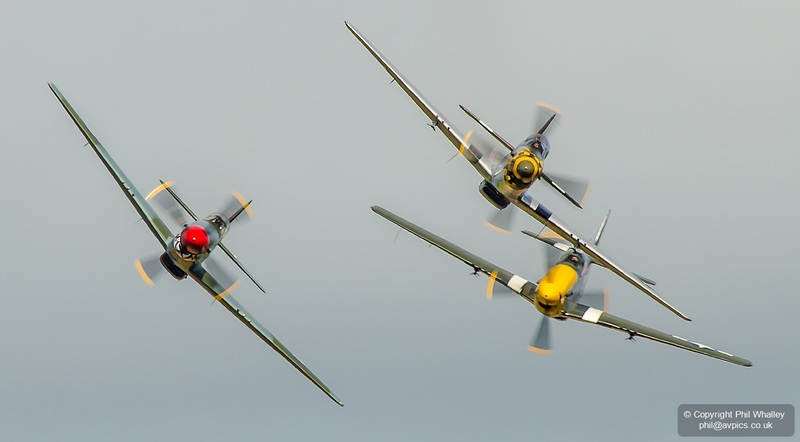 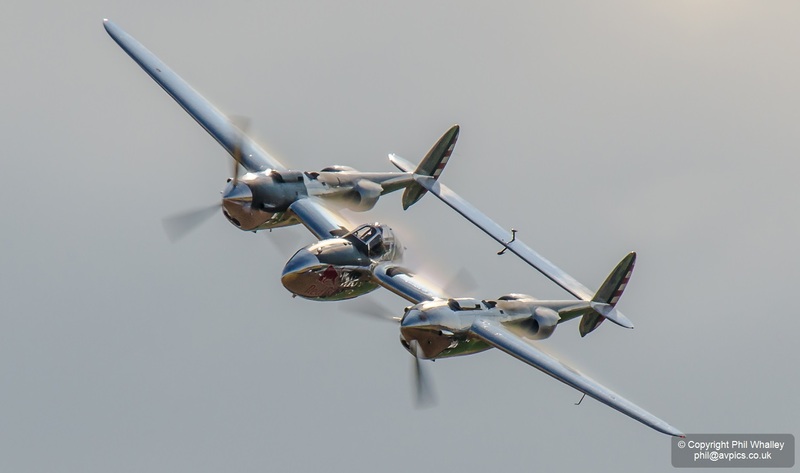 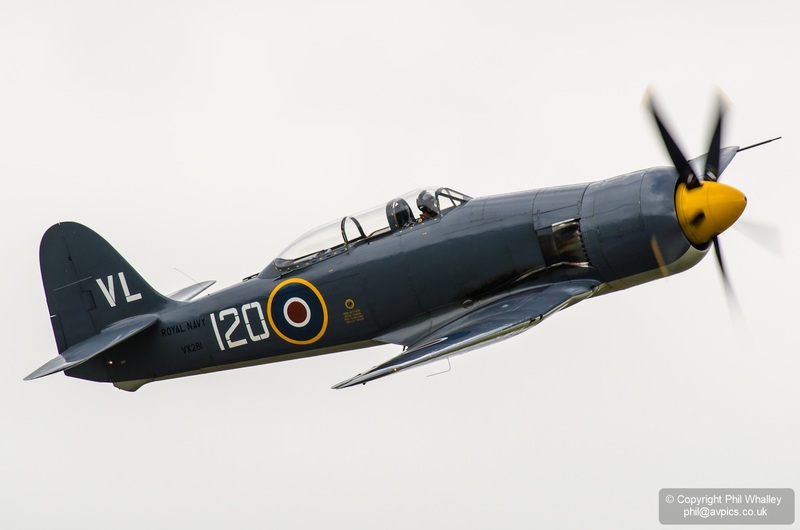 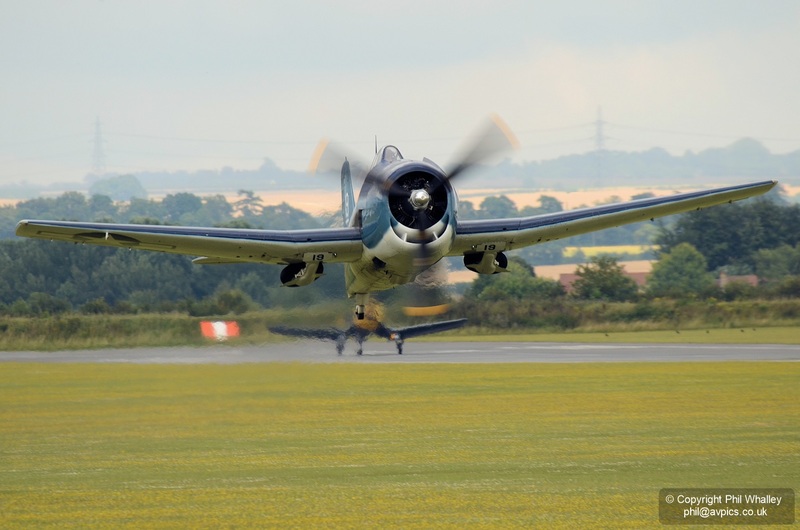 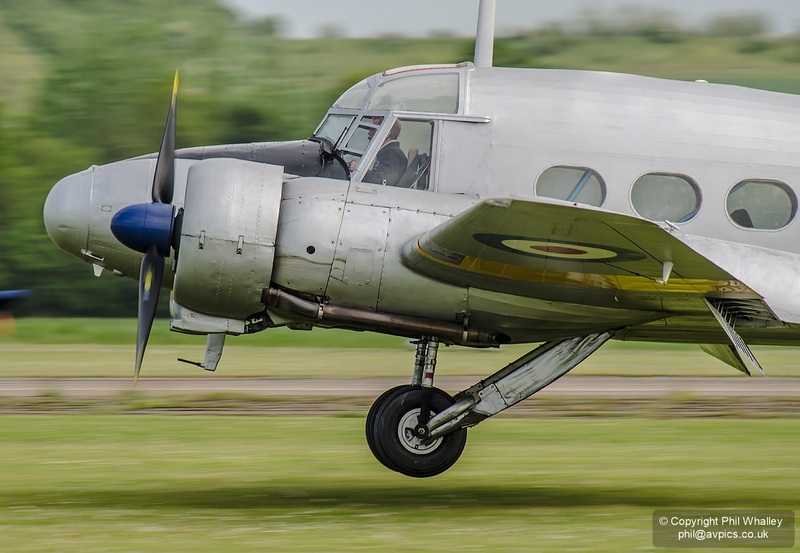 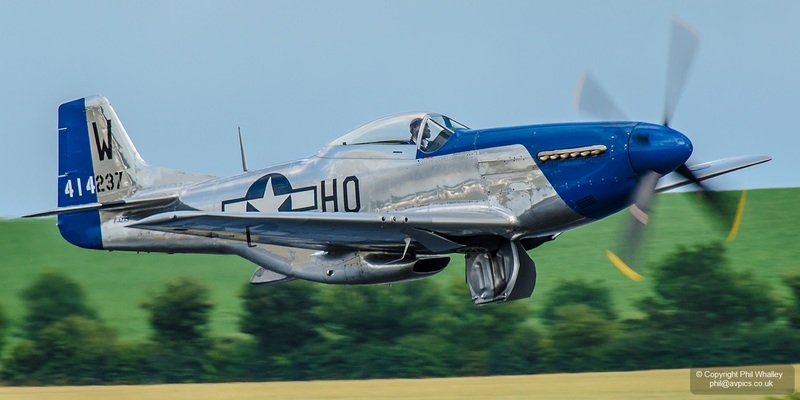 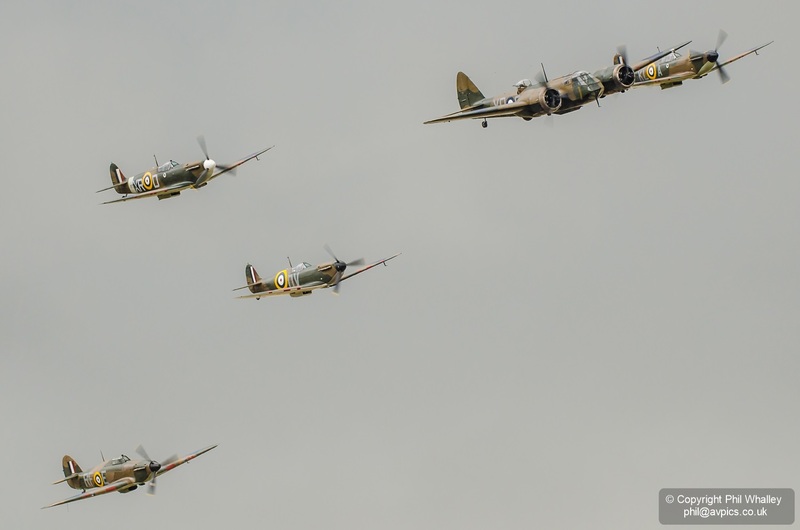 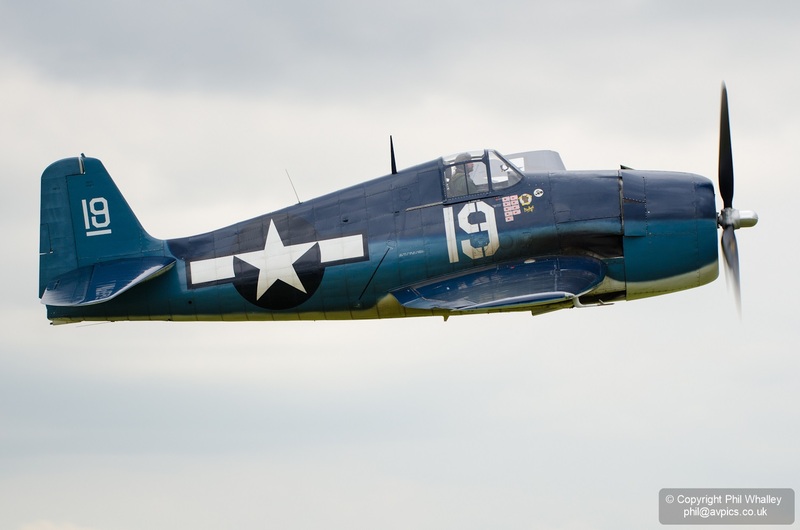 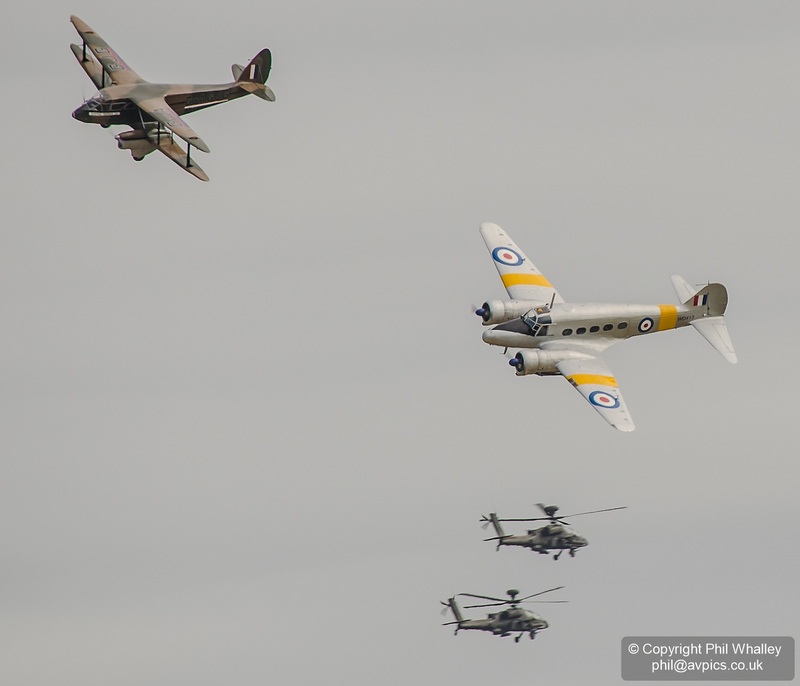 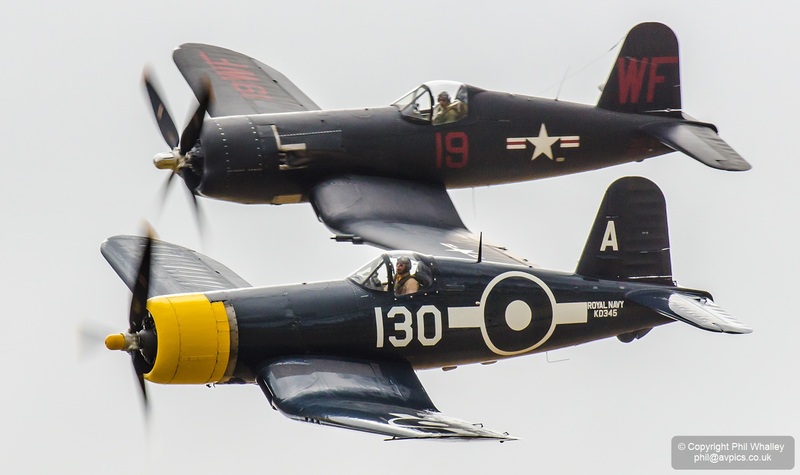 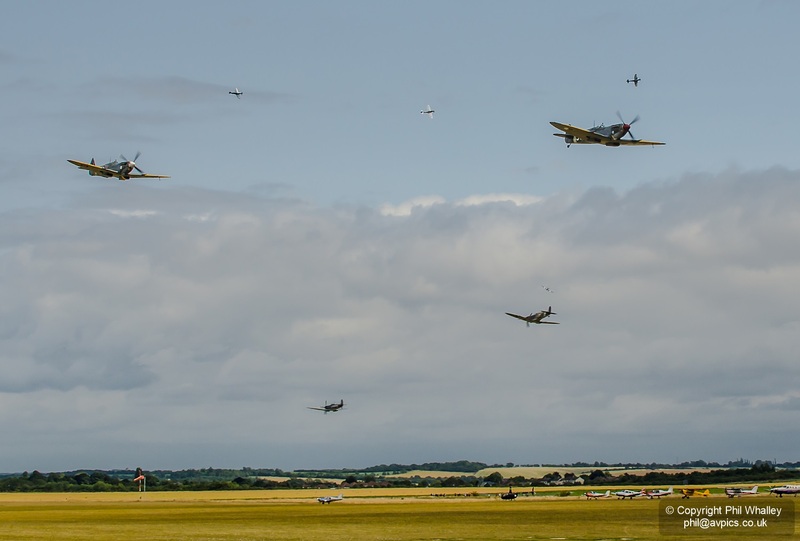 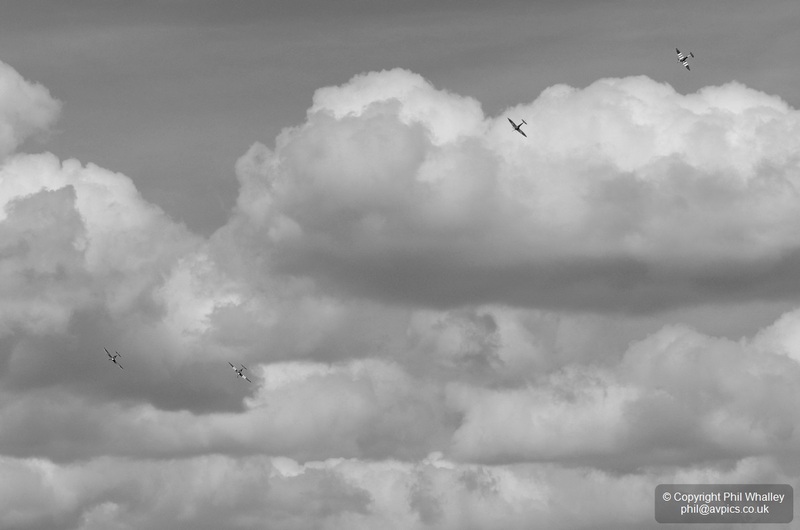 Further continuing a catch-up of the year’s airshows, this selection from the Sunday of Flying Legends illustrates the far from ideal weather of the day. 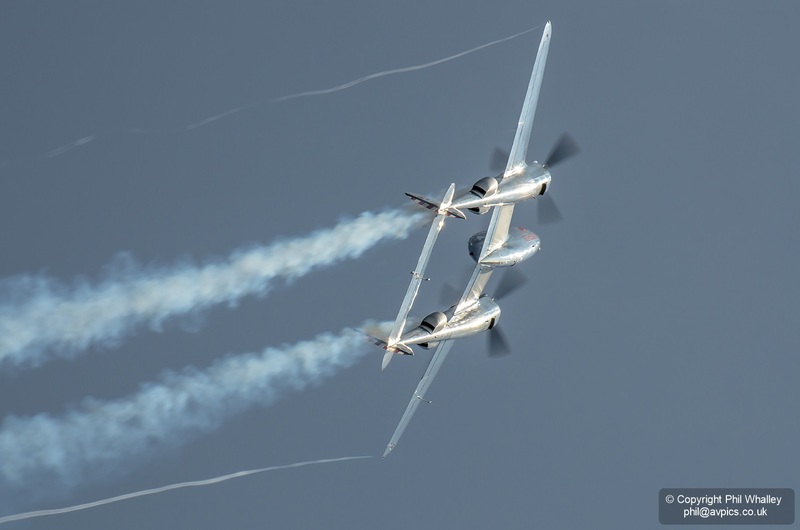 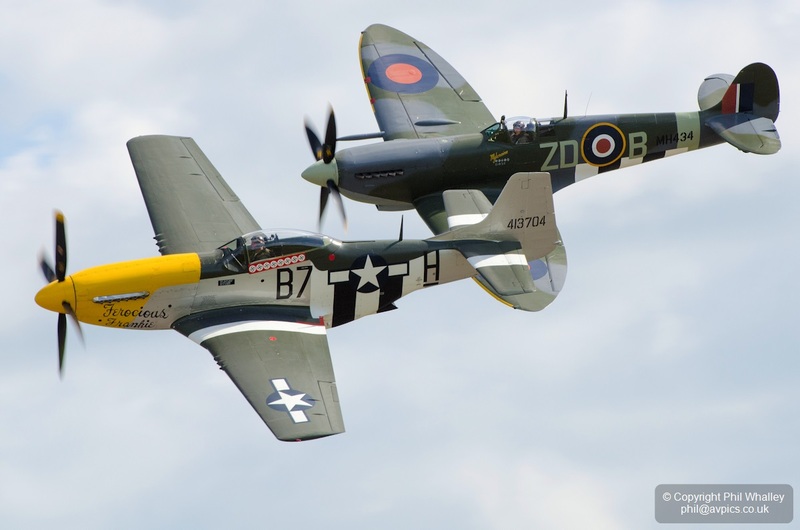 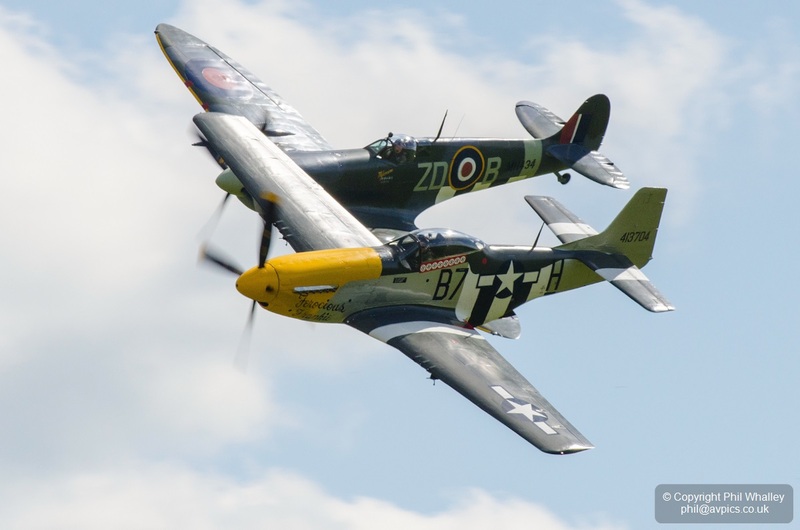 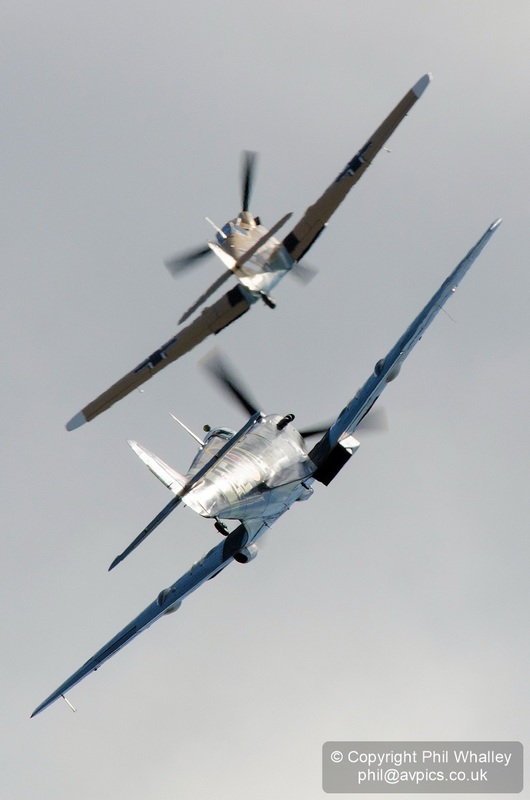 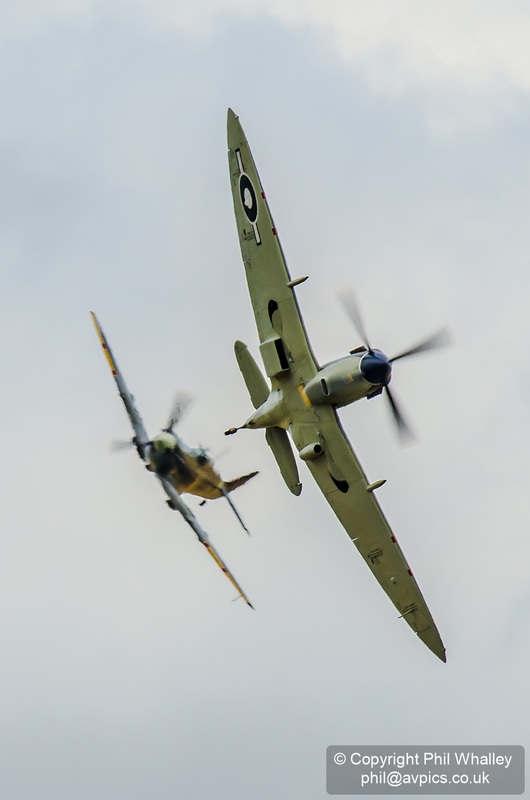 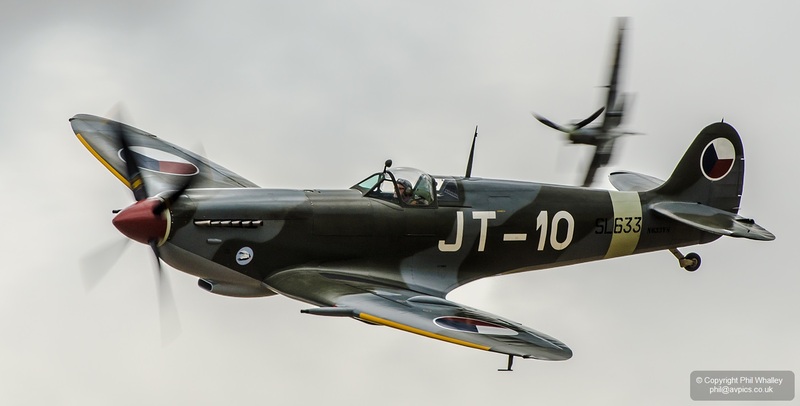 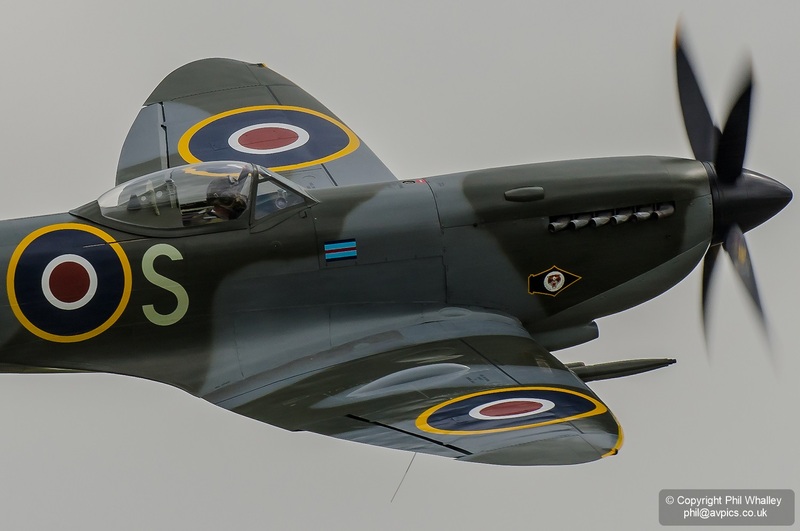 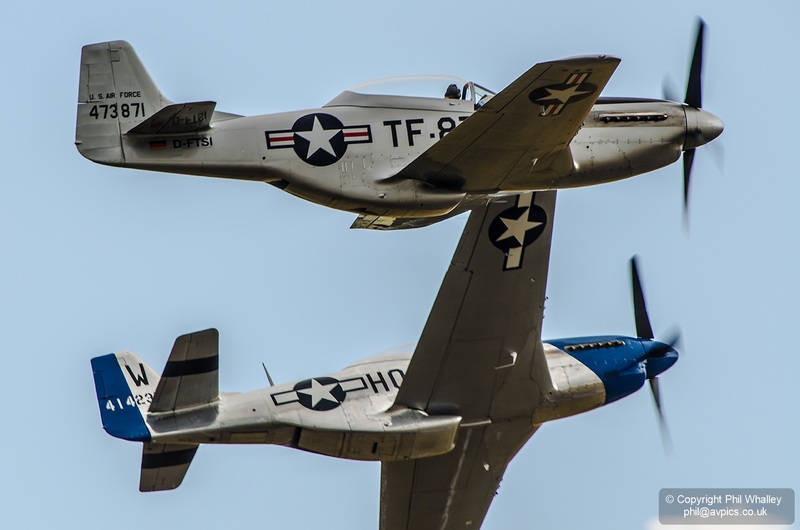 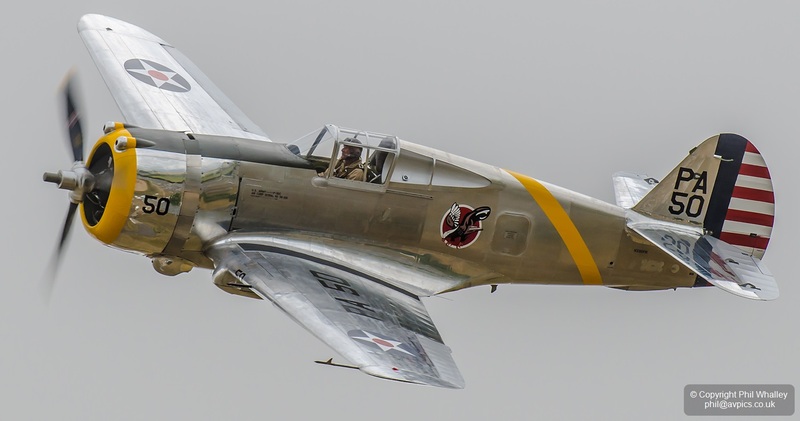 The show wasn’t a classic, but few will forget the various Spitfire and Mustang sequences. 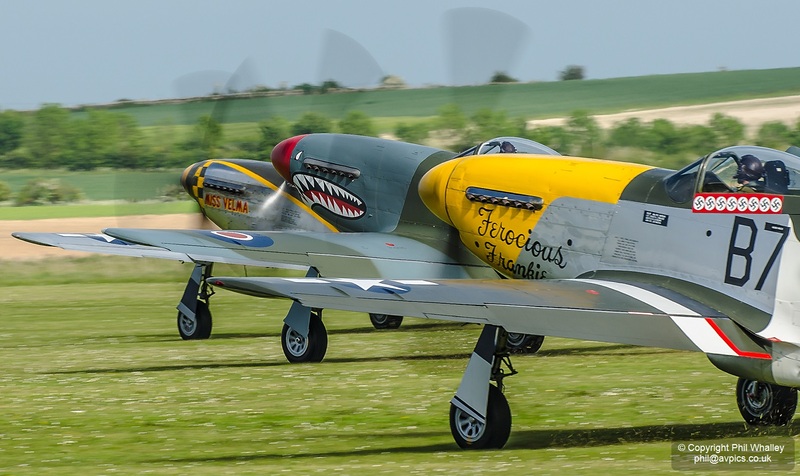 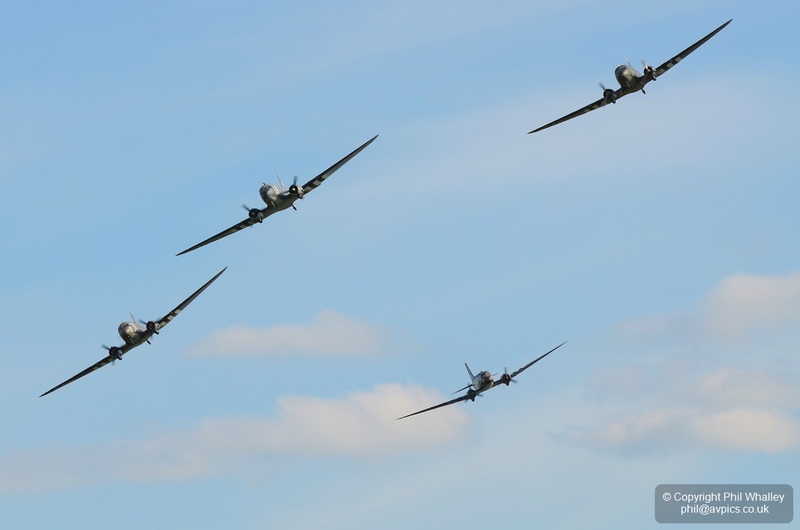 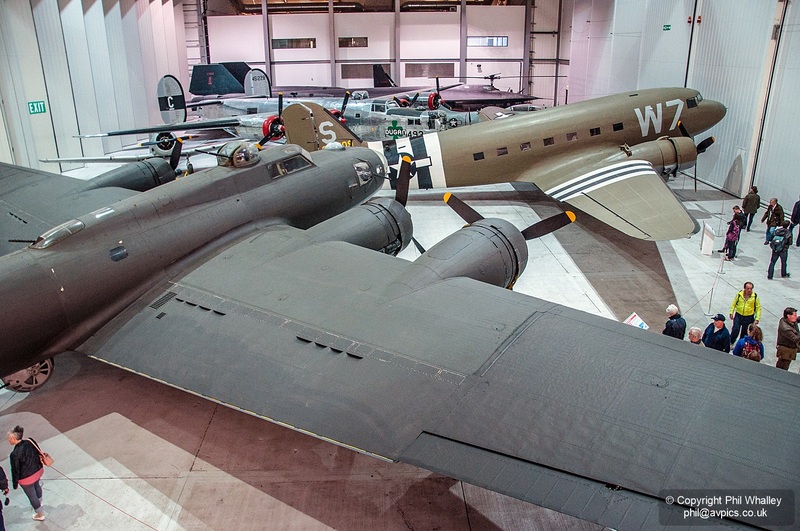 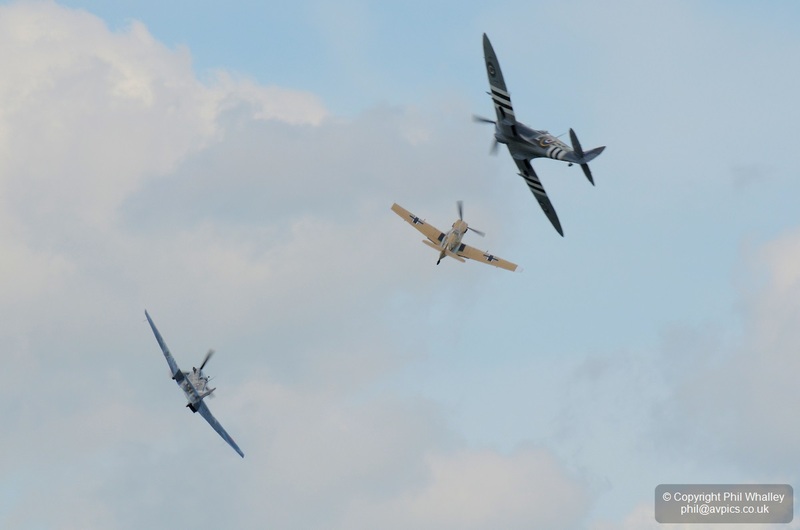 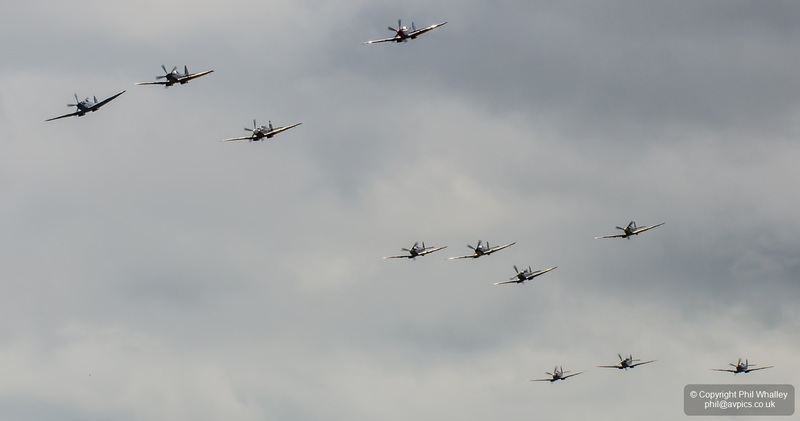 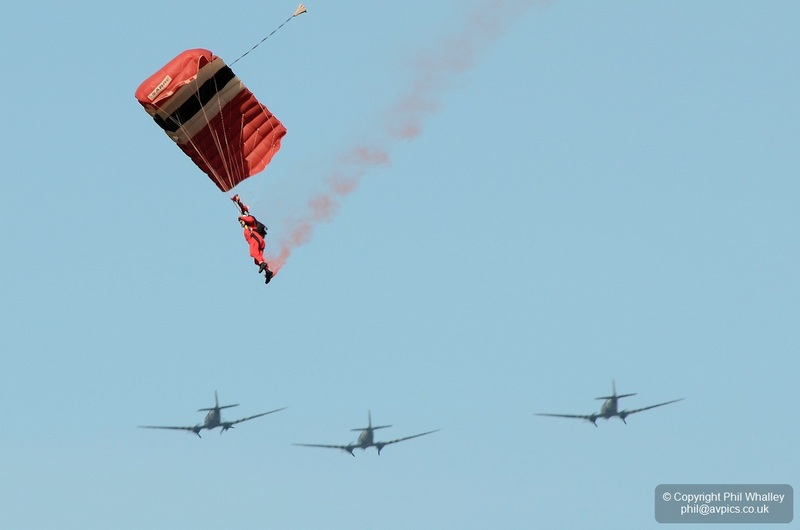 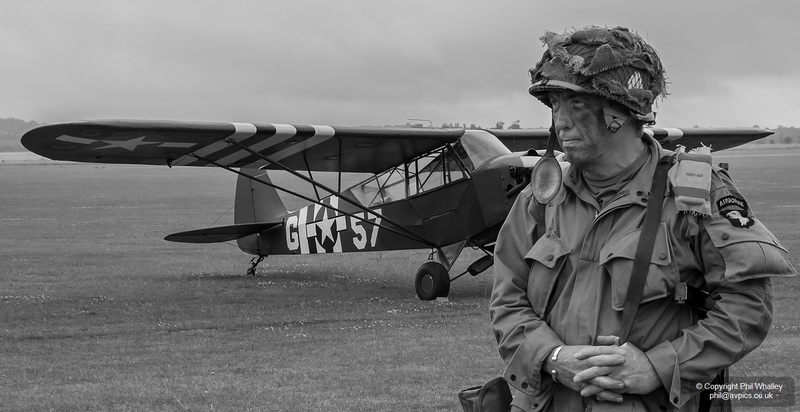 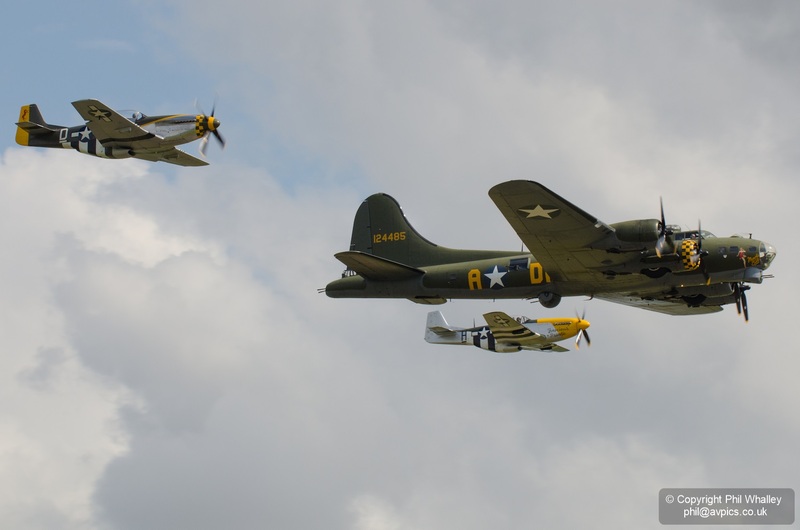 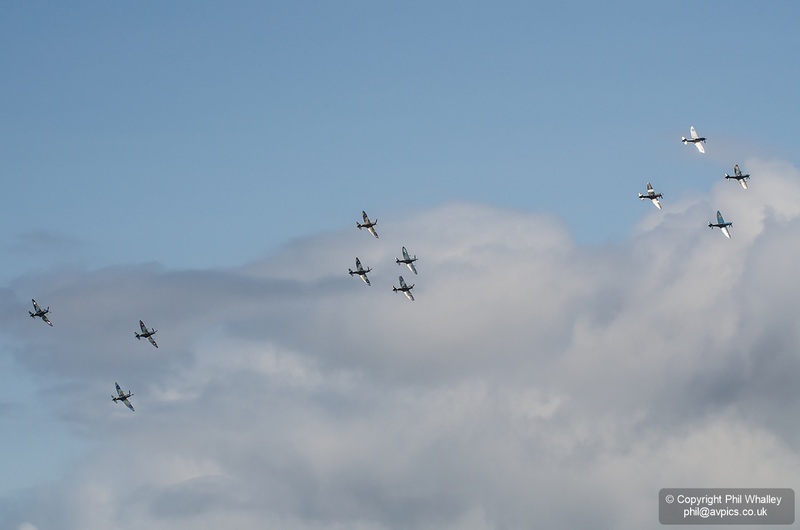 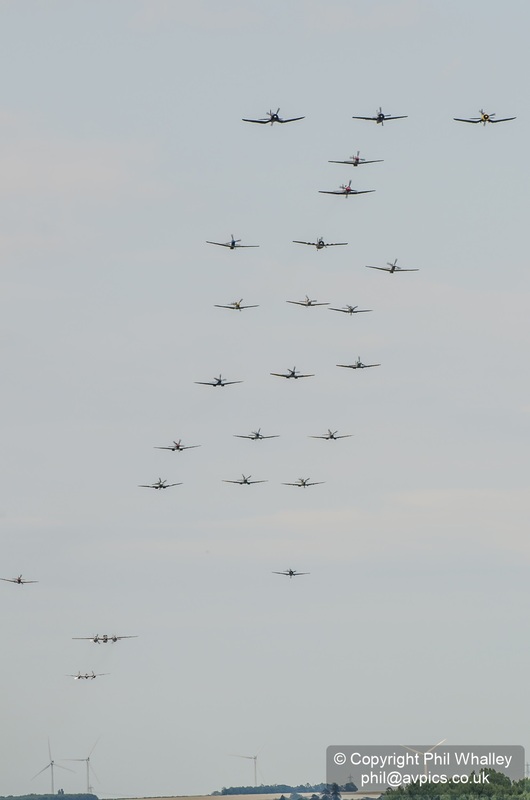 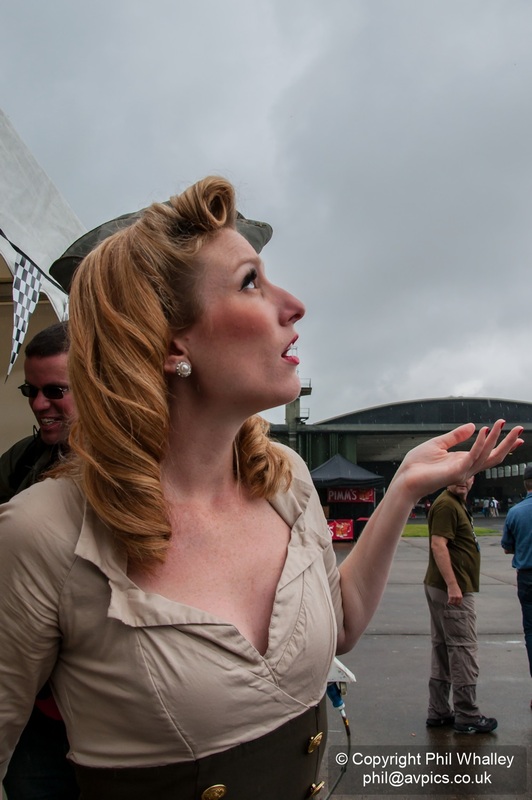 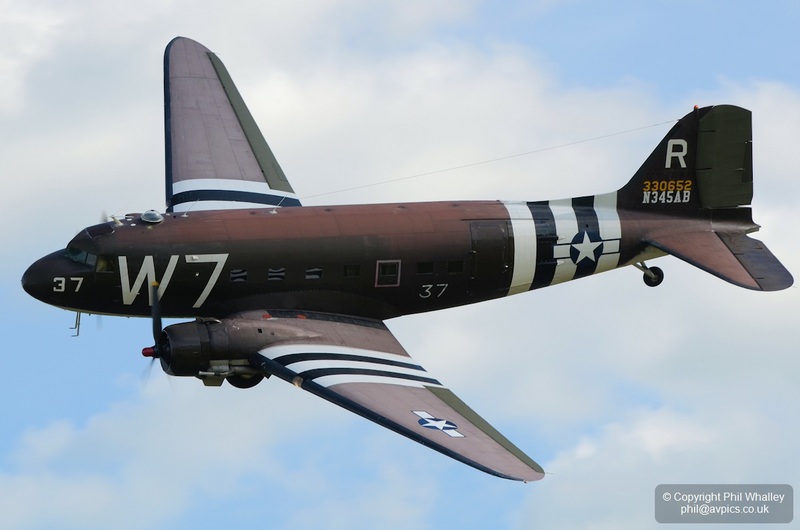 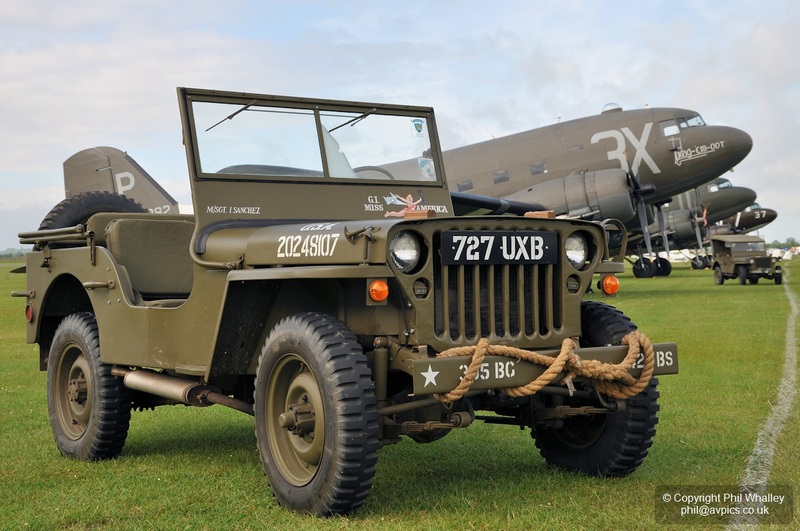 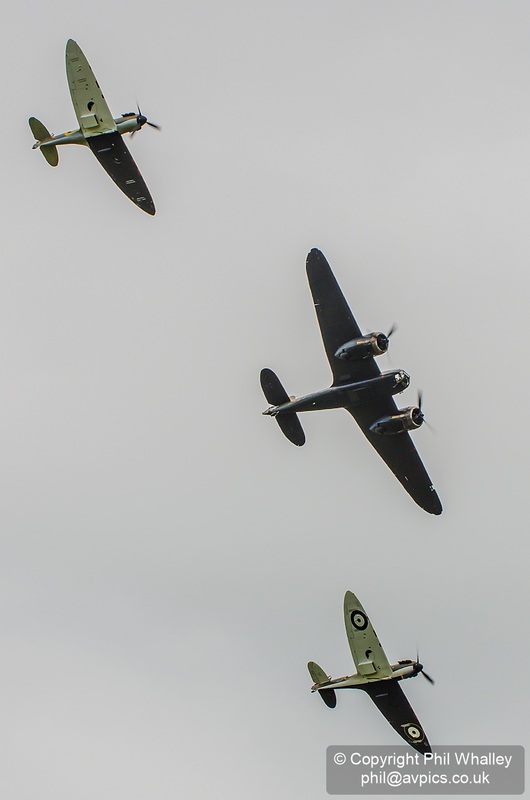 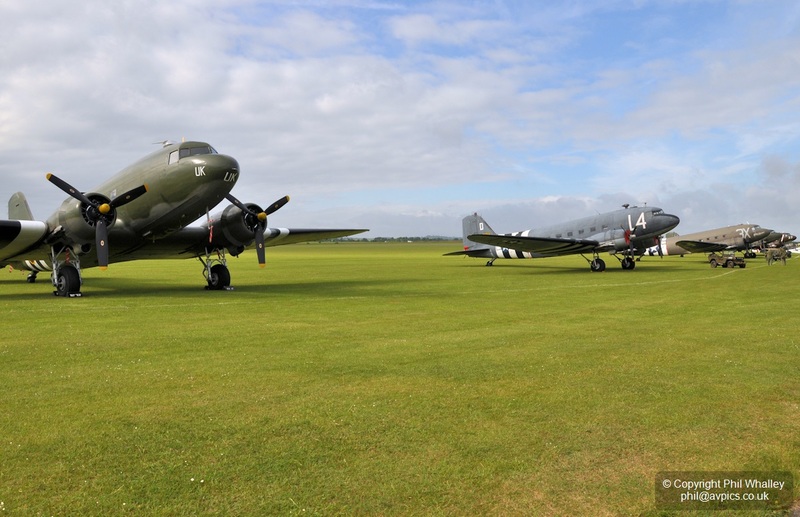 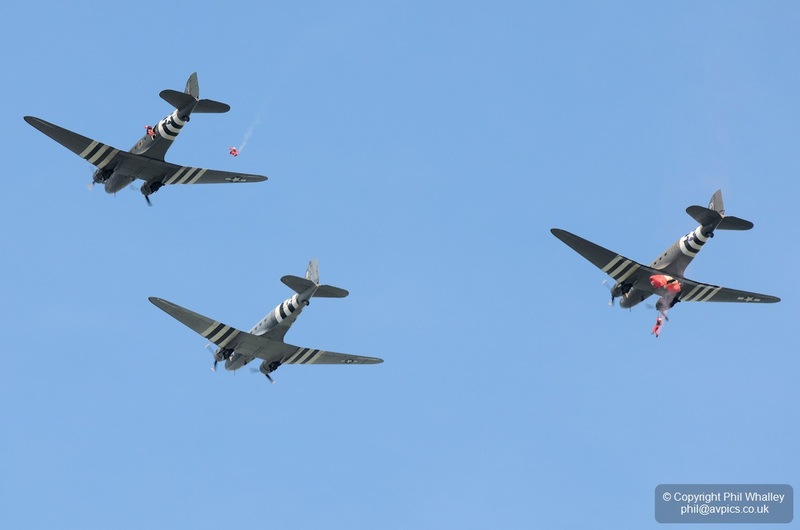 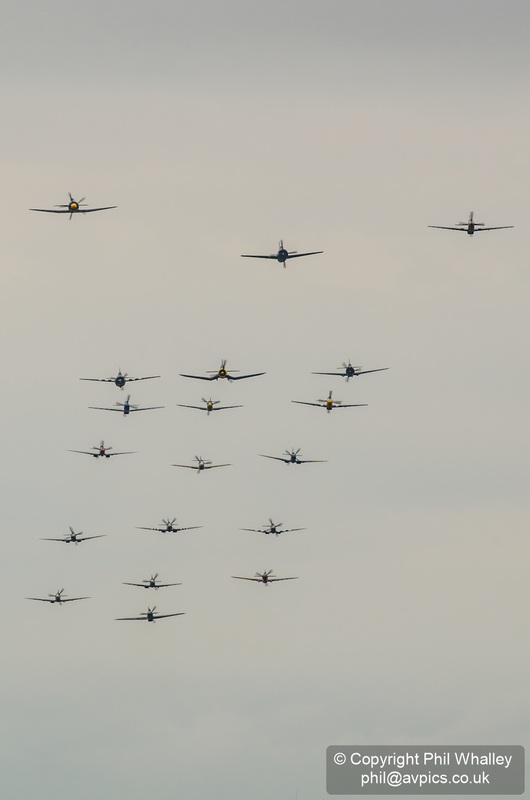 A somewhat delayed photographic look at the D-Day anniversary show at Duxford in May. 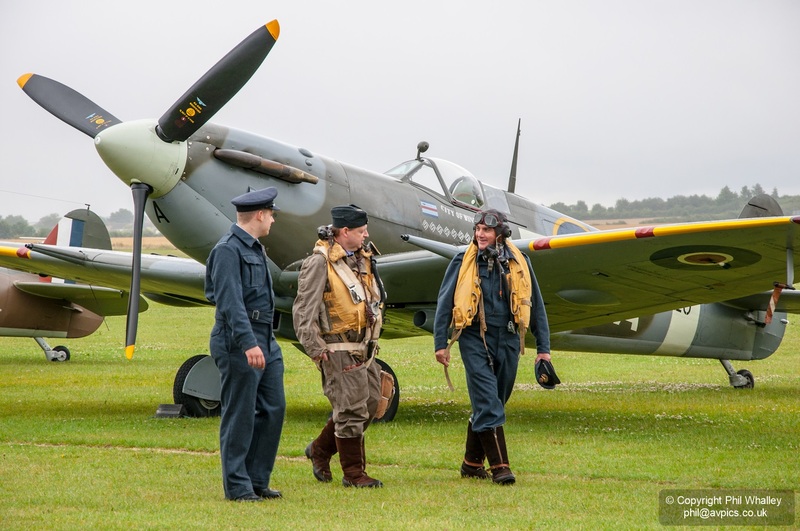 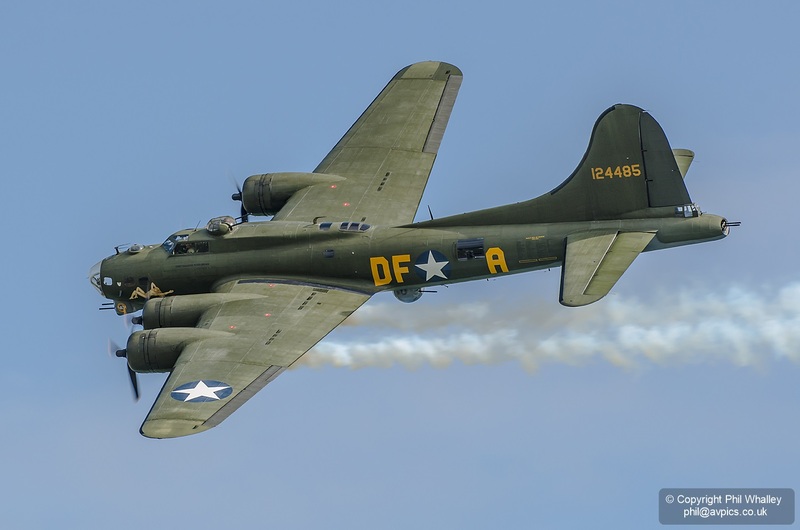 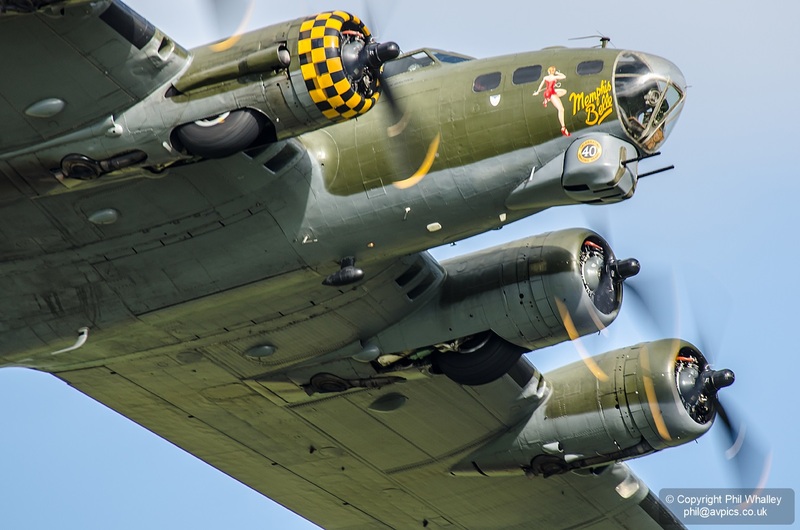 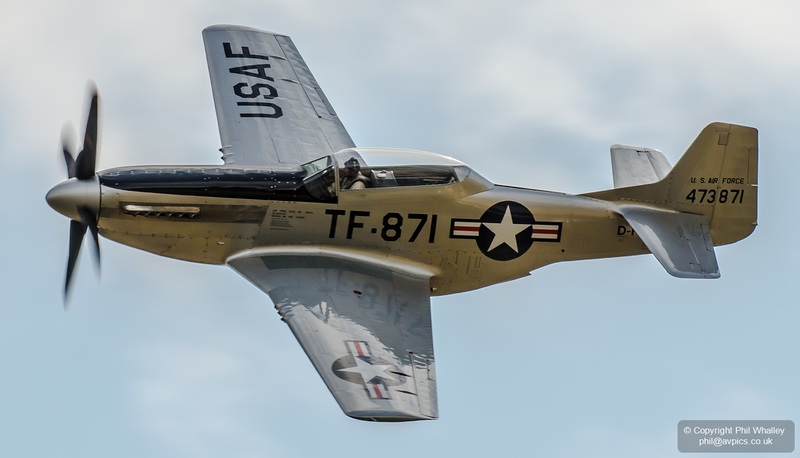 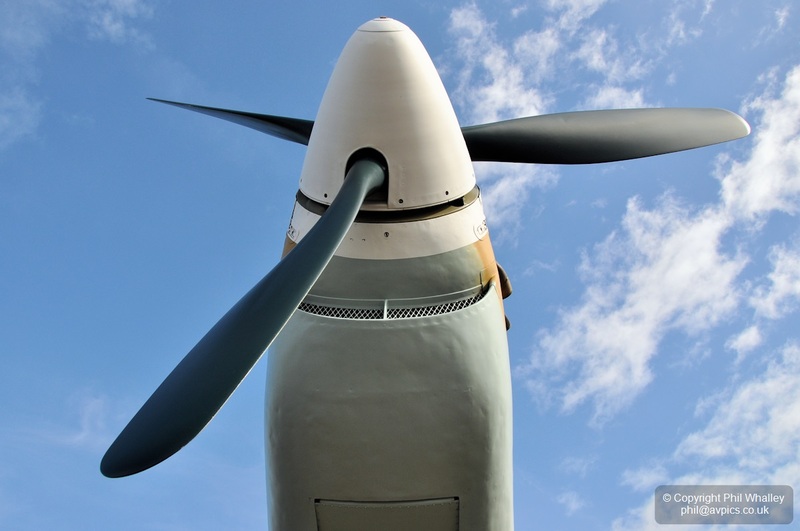 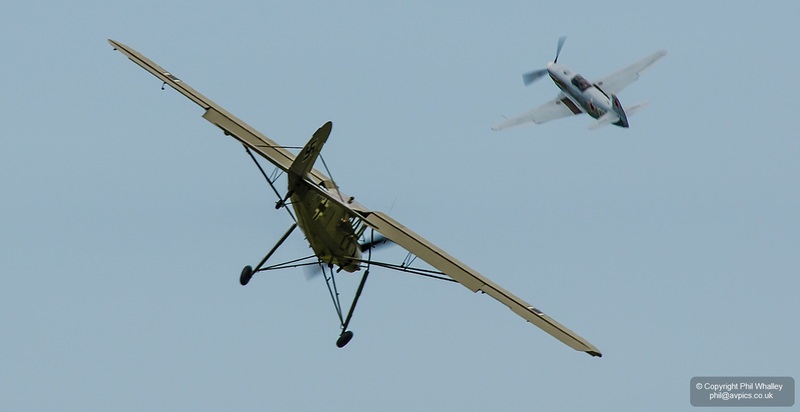 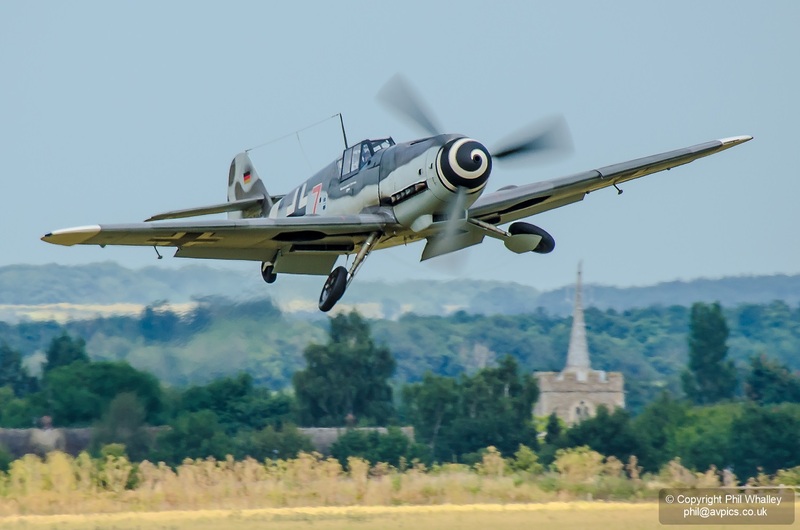 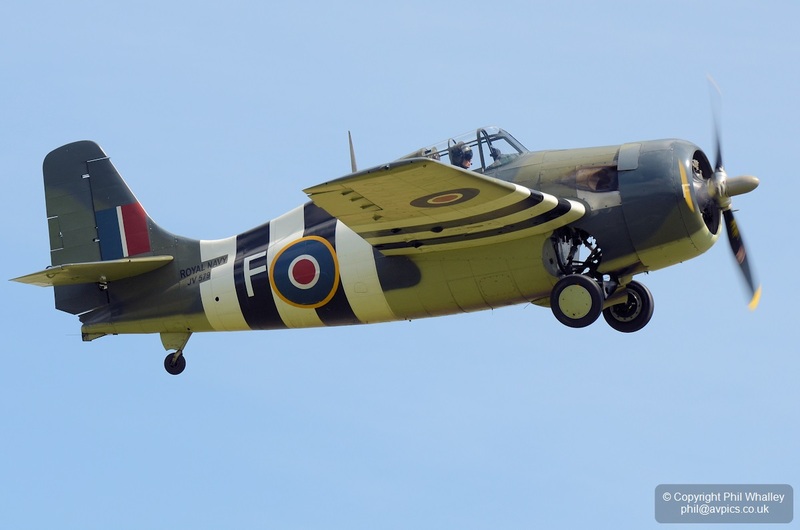 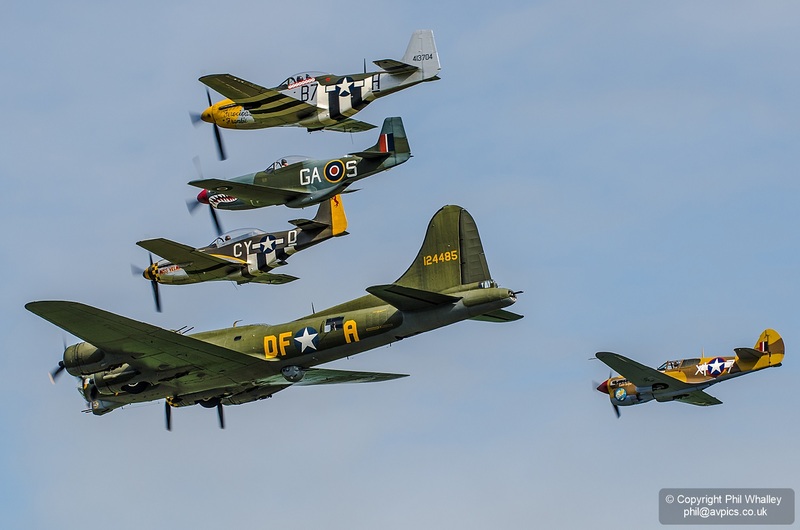 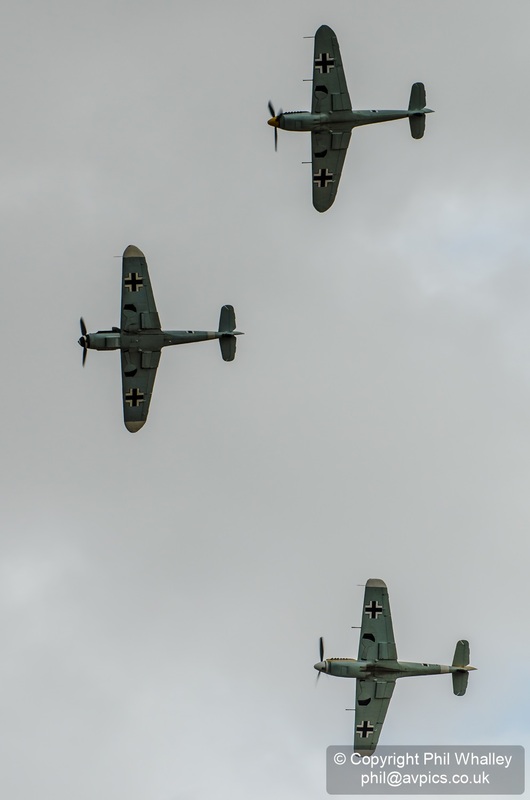 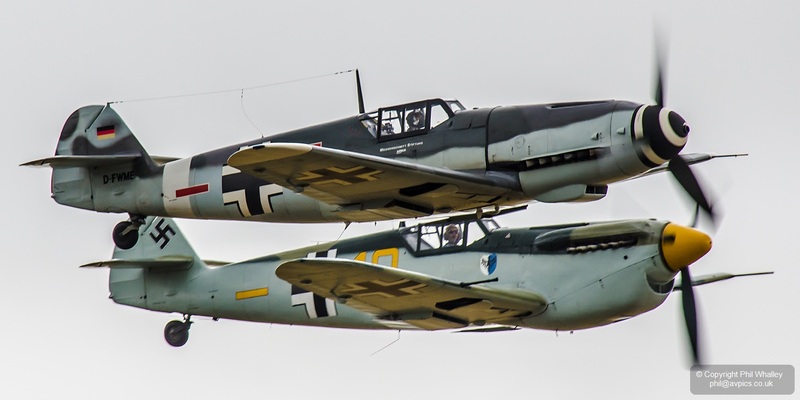 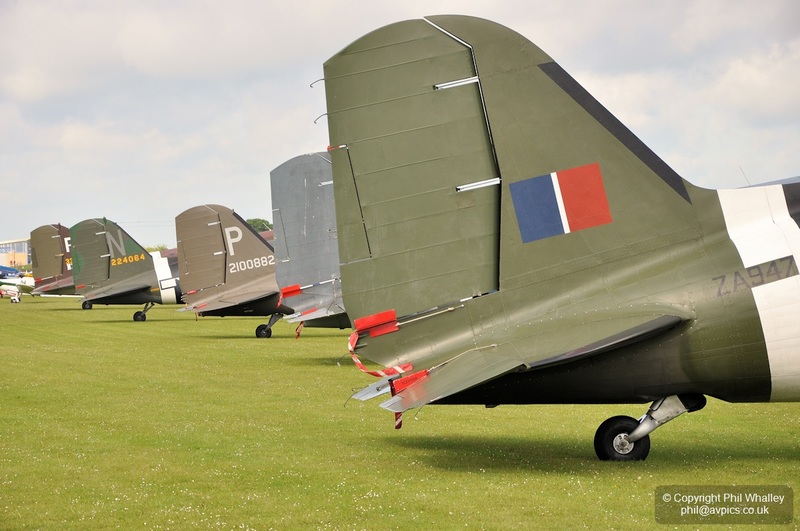 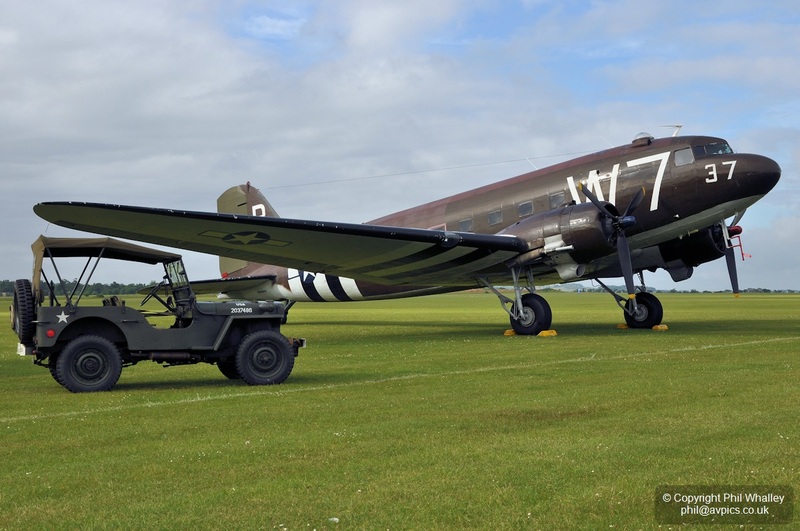 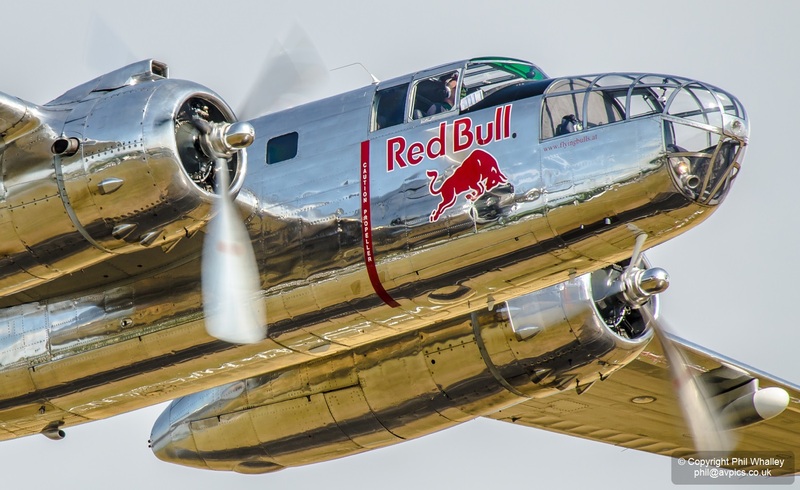 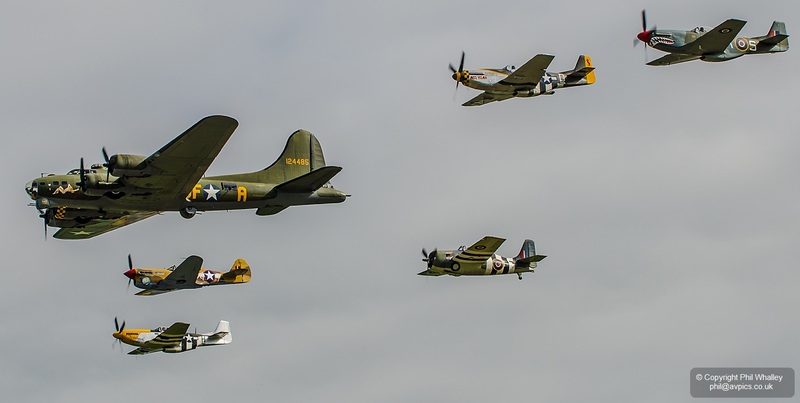 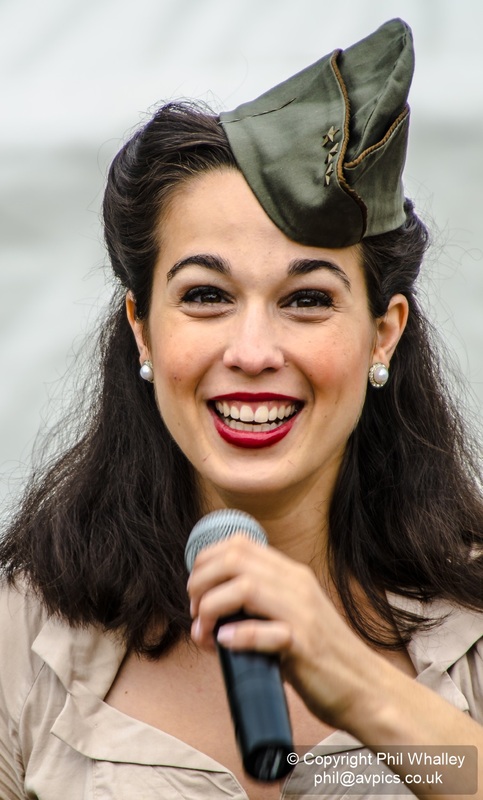 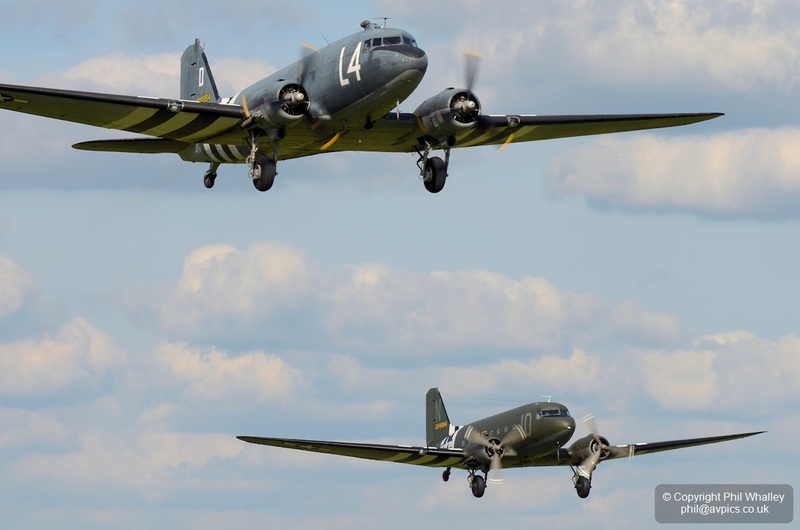 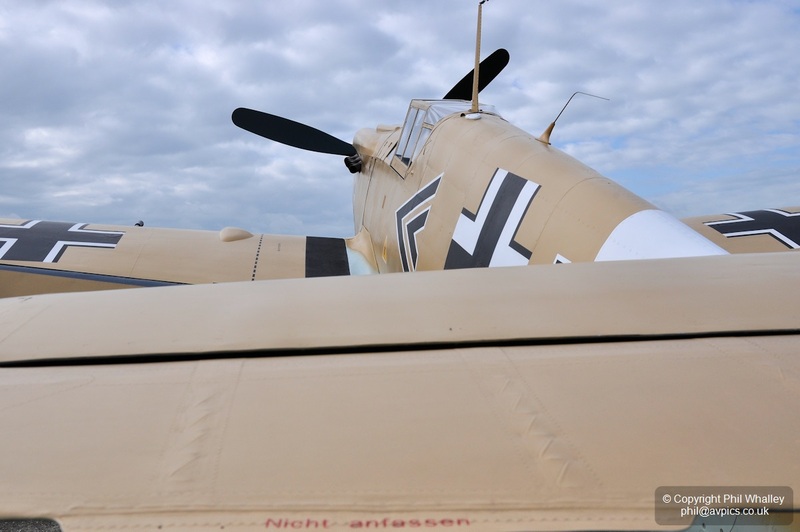 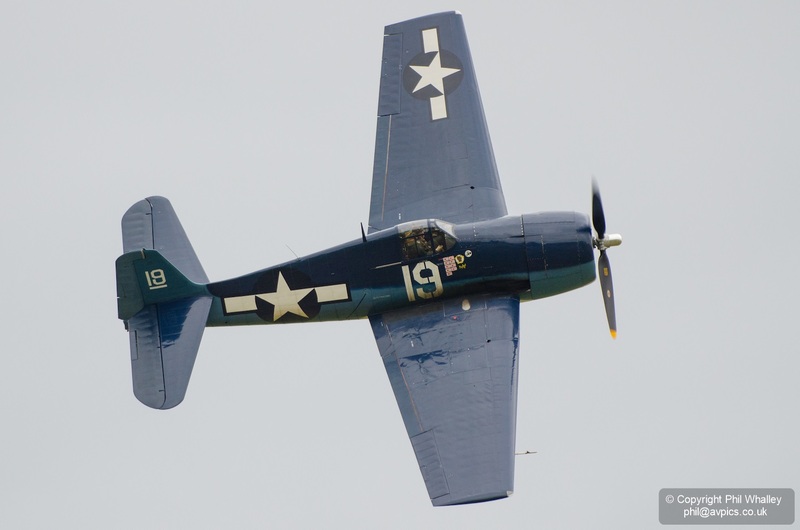 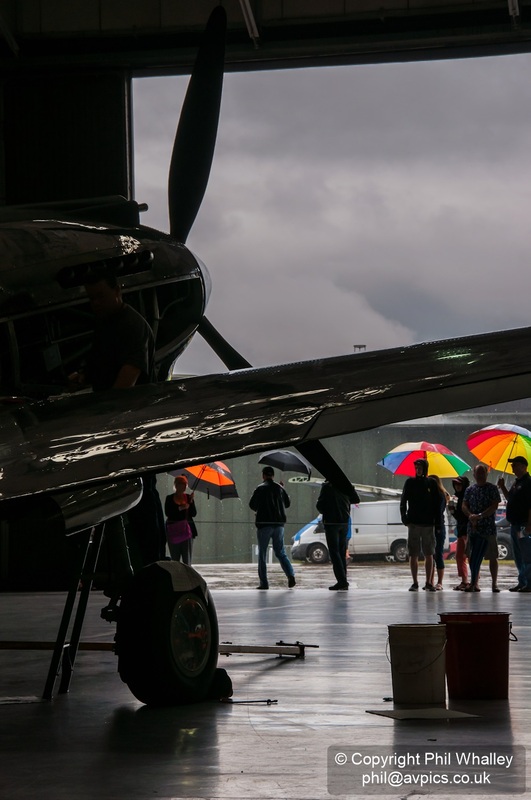 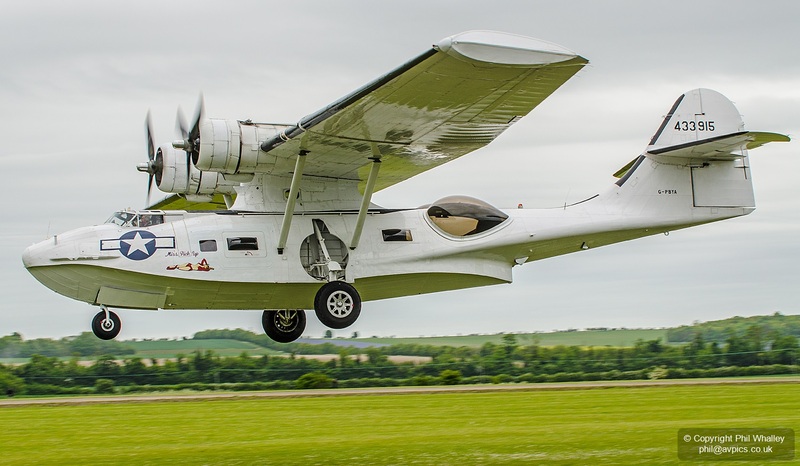 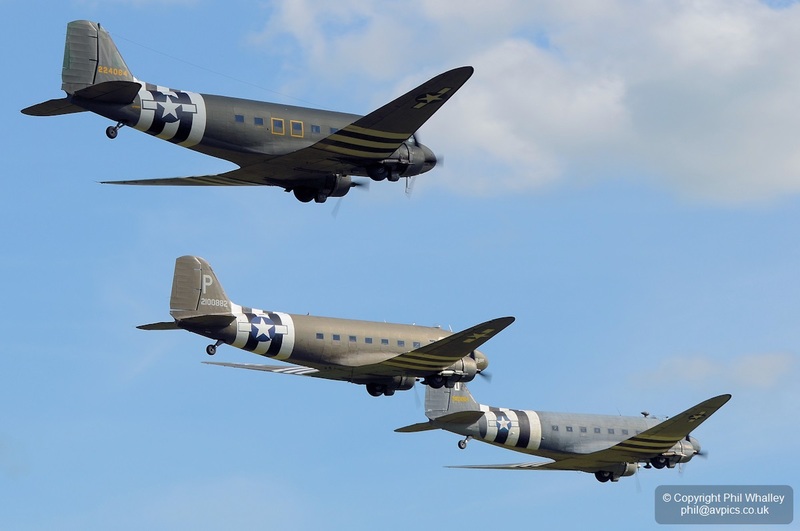 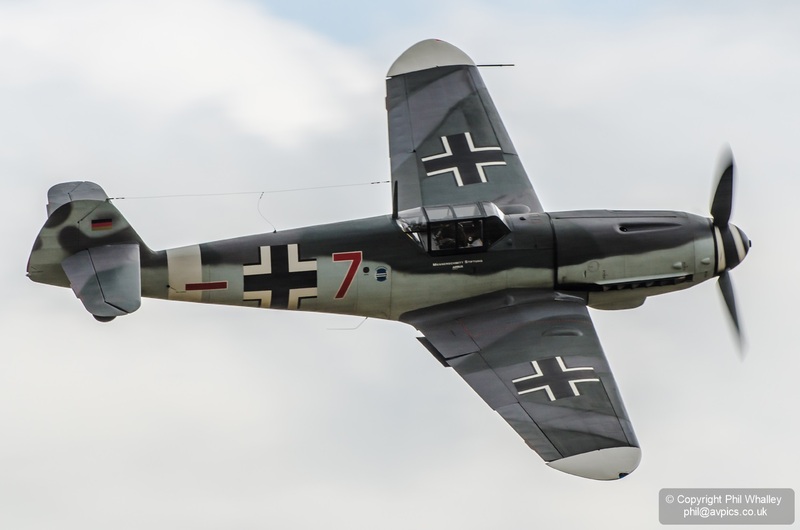 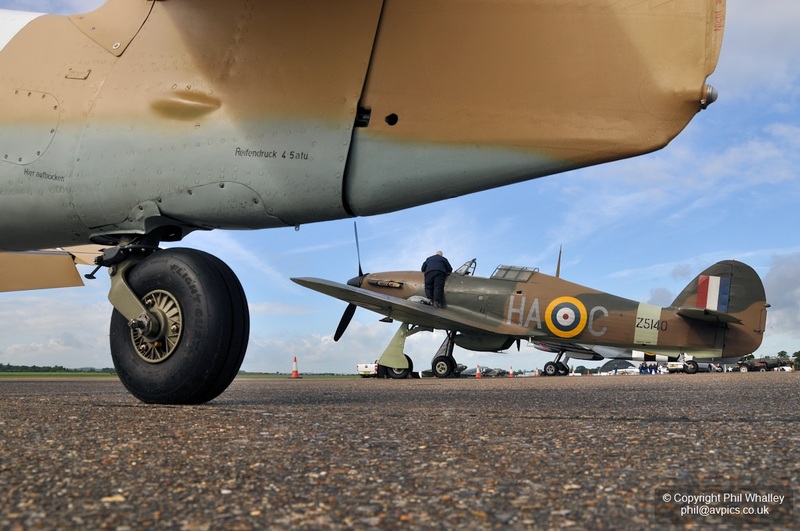 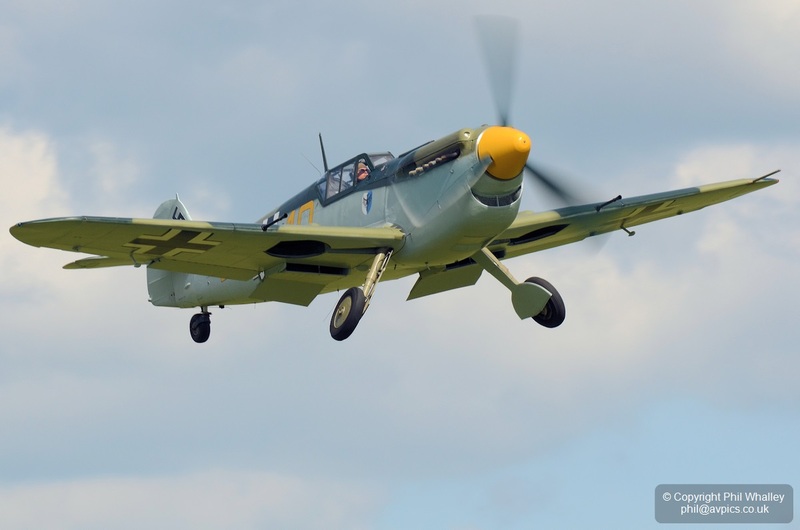 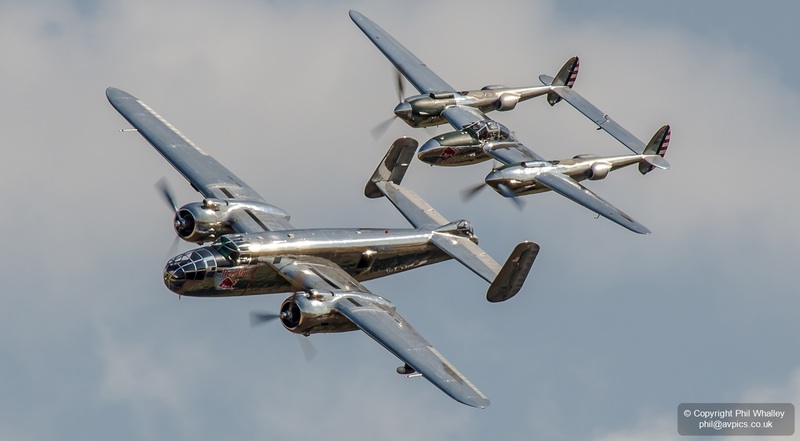 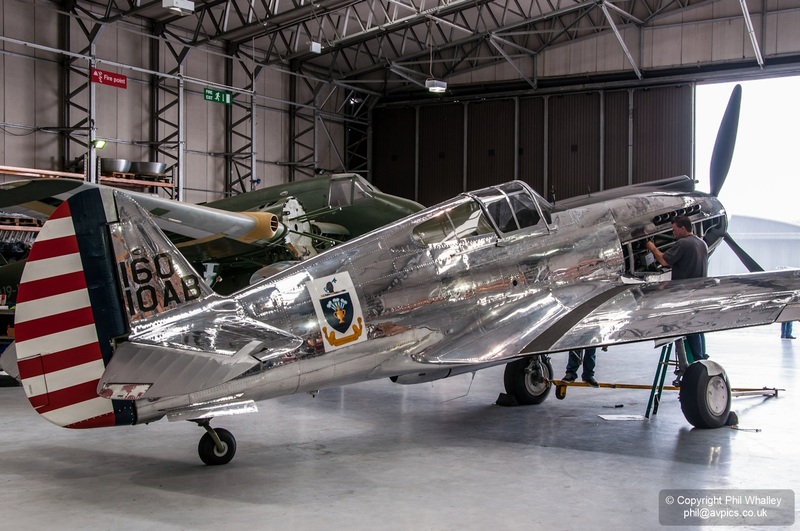 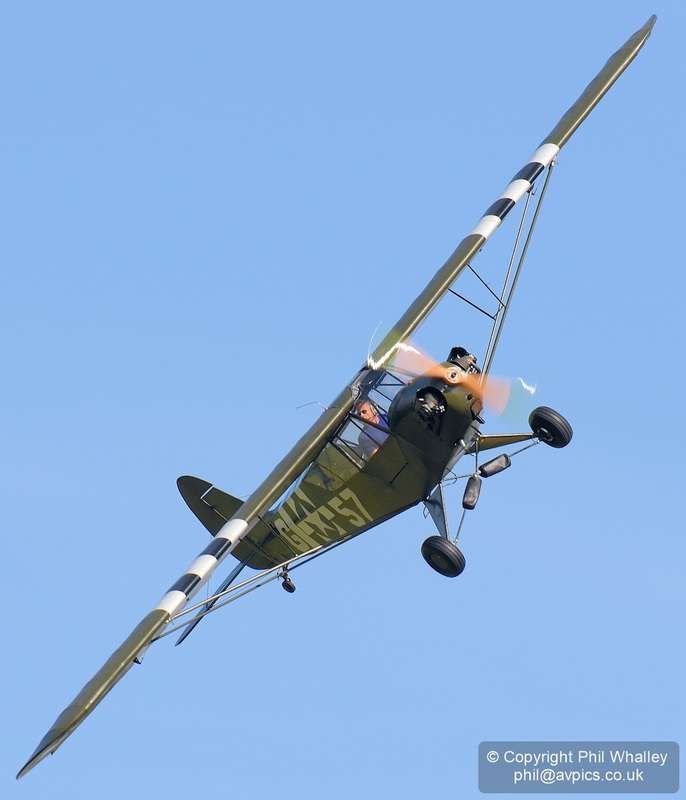 The event focused on representative aircraft covering all of the aspects of the invasion, including a precious few that were actually involved seventy years ago. 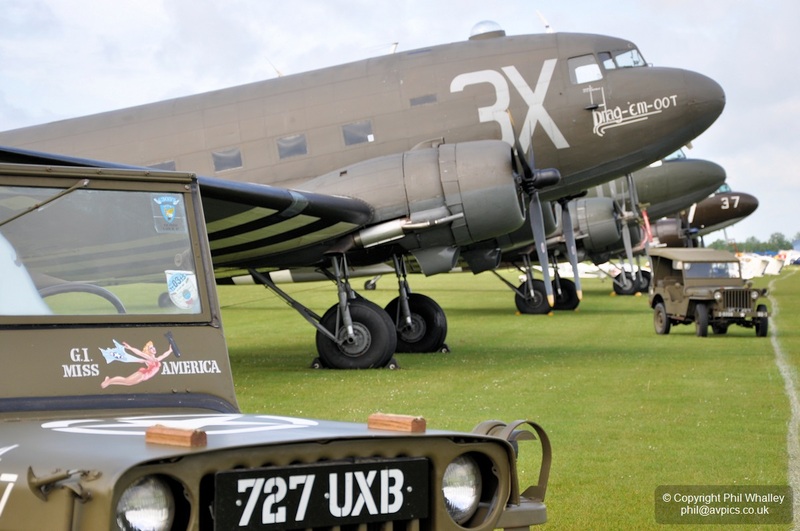 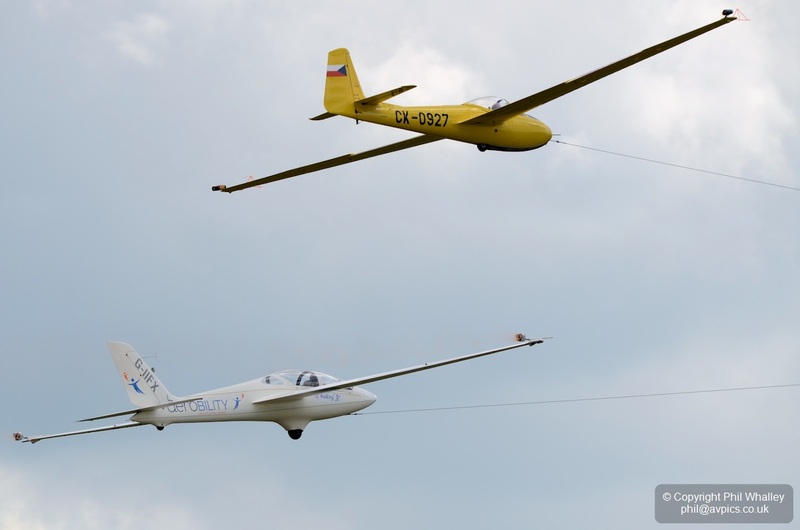 Modern sport gliders substituted for the troop carriers of the war, but otherwise the display consisted of examples of types from the period plus modern aircraft with links to those involved. 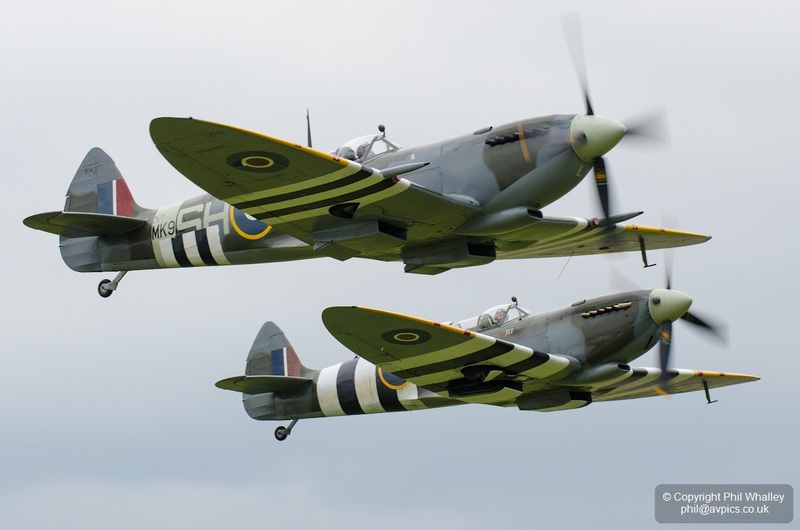 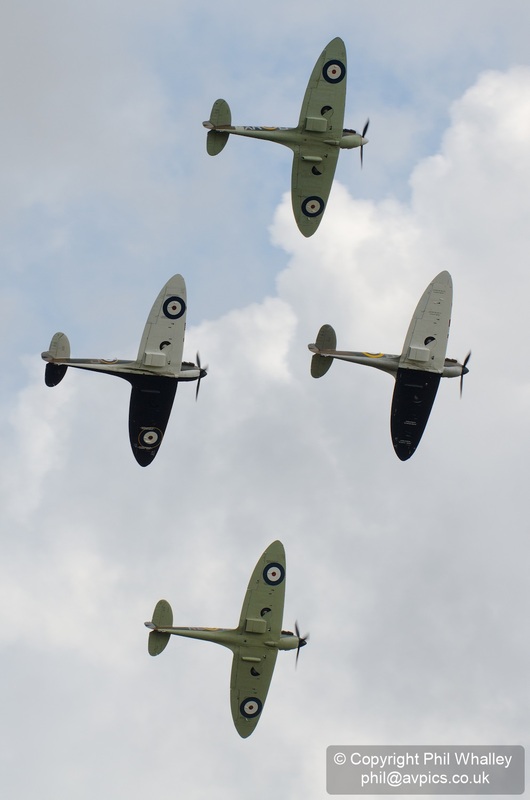 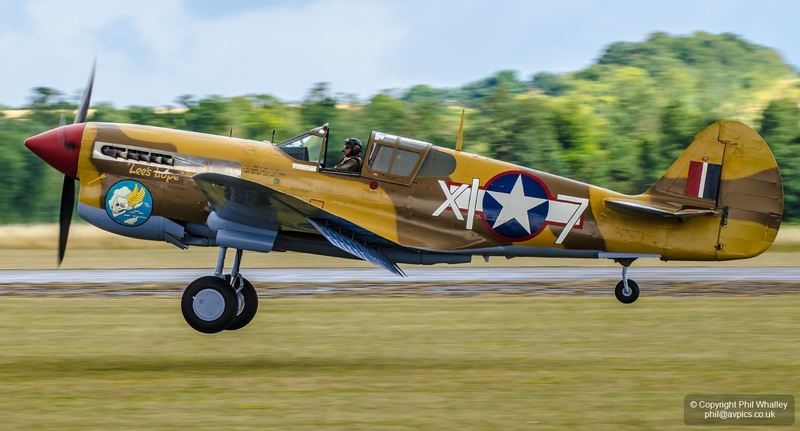 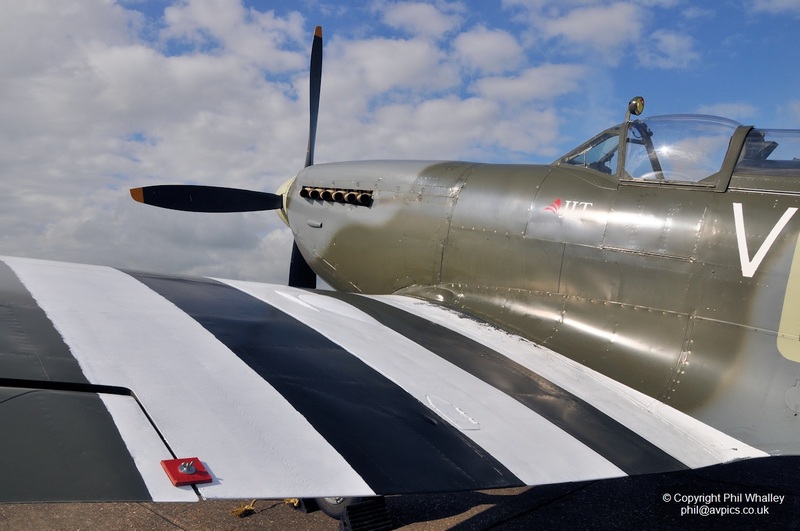 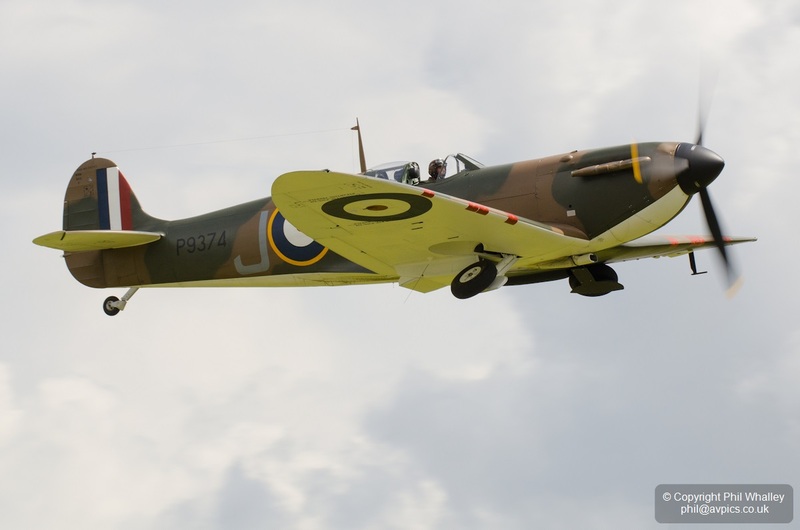 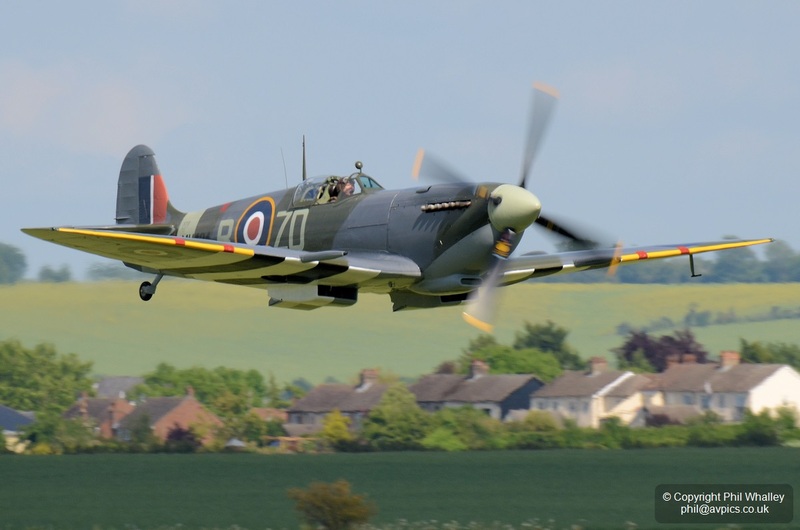 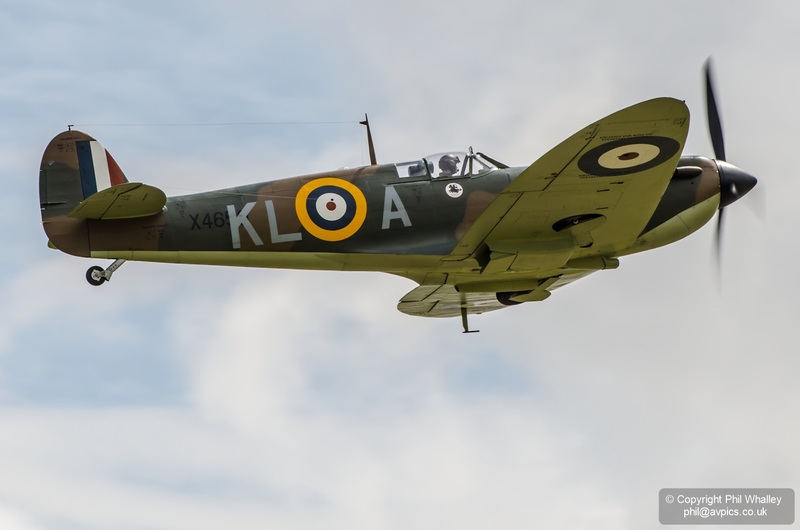 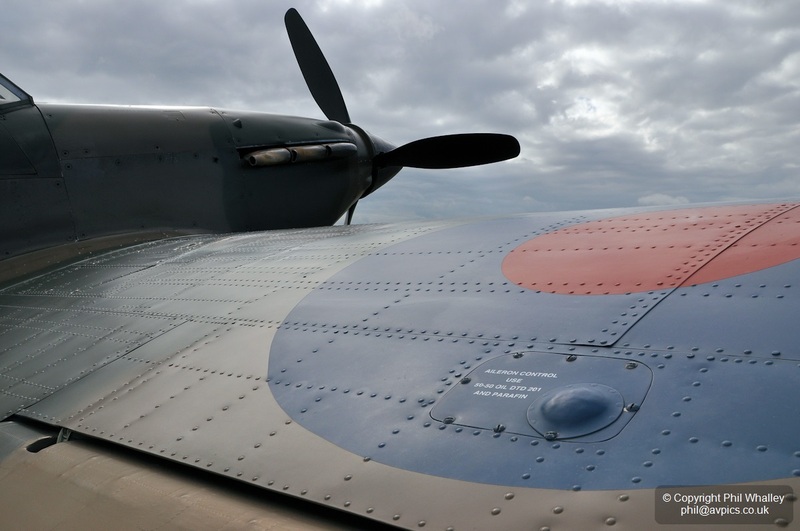 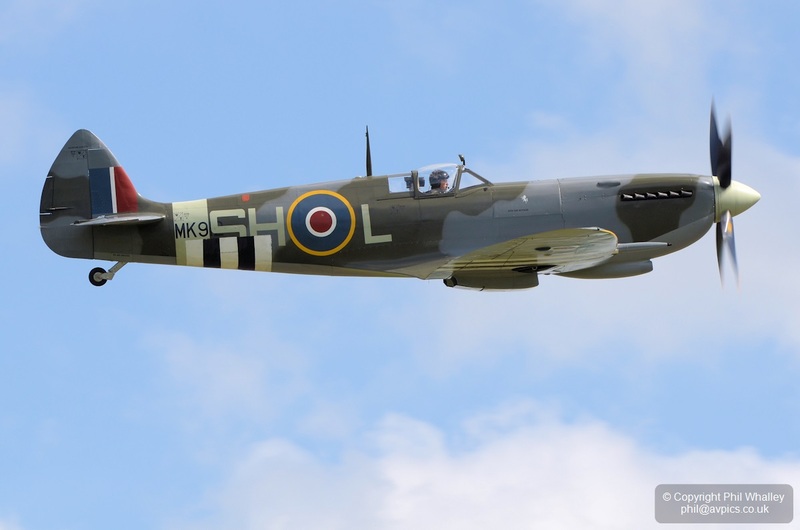 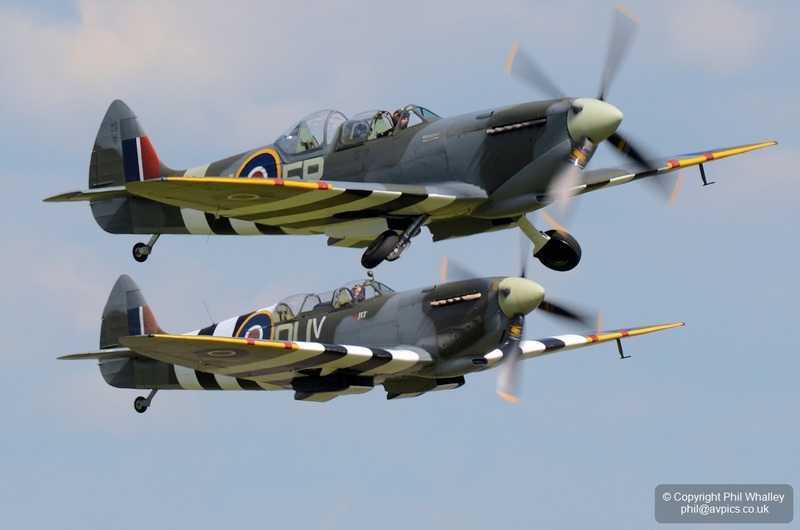 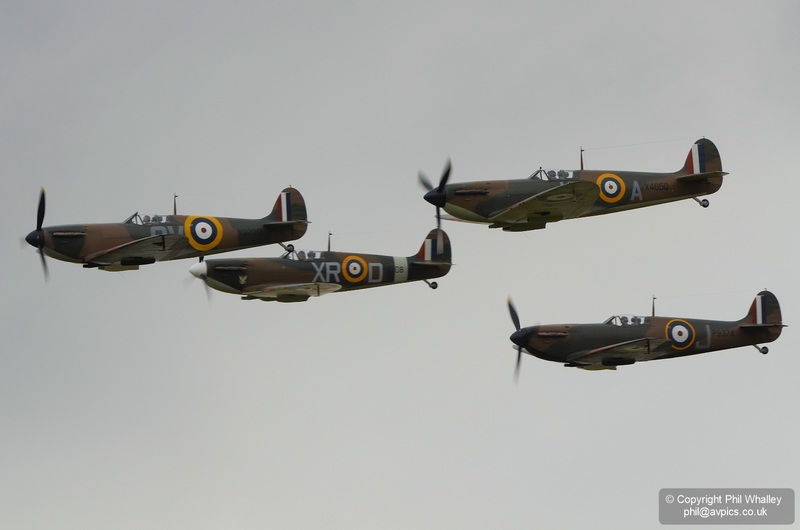 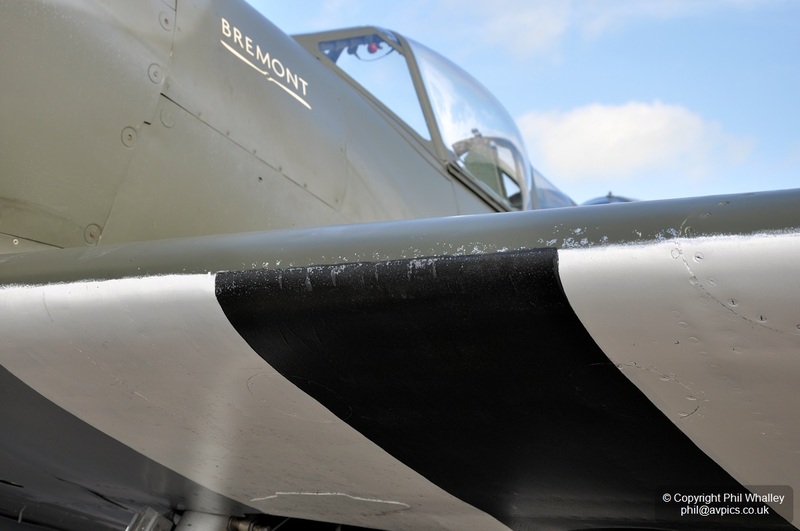 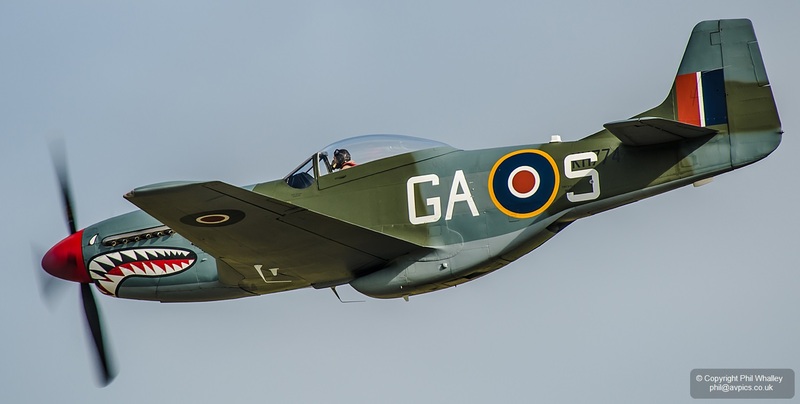 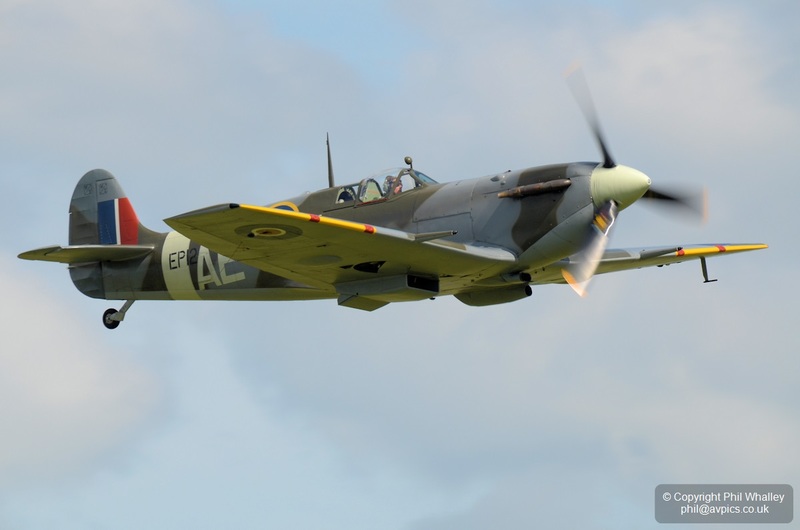 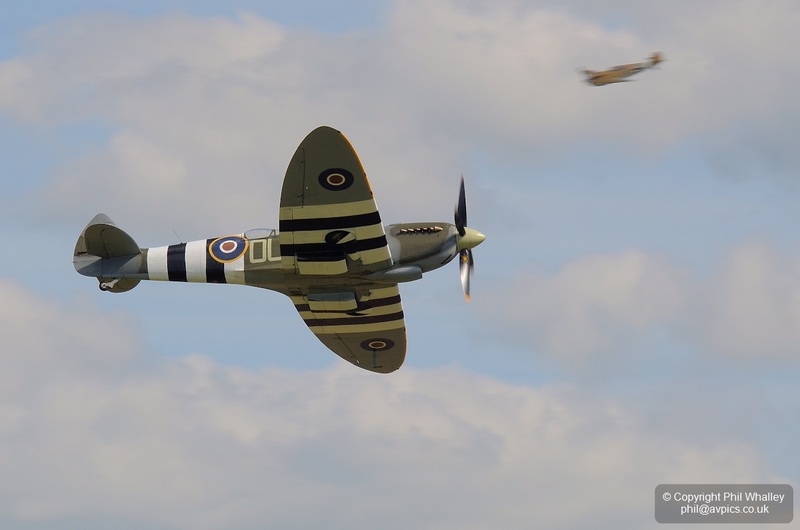 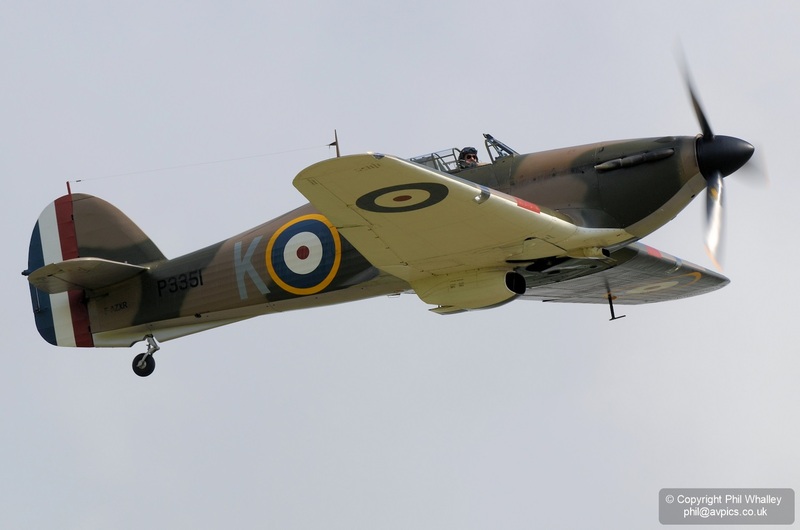 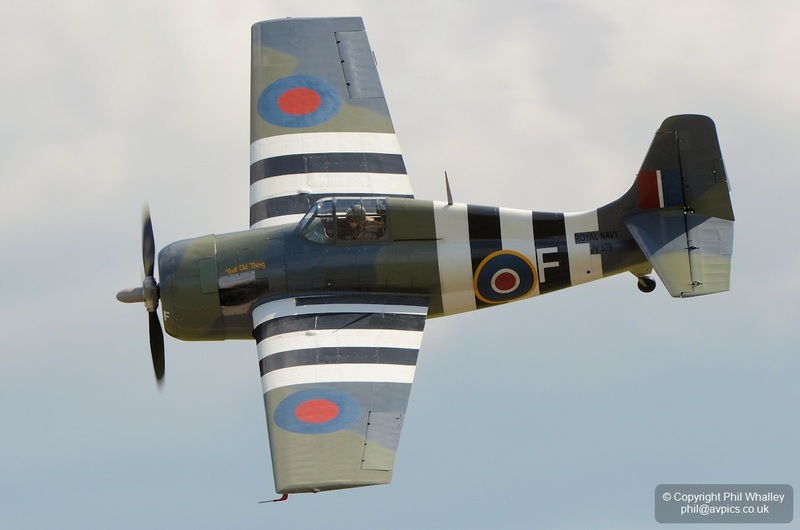 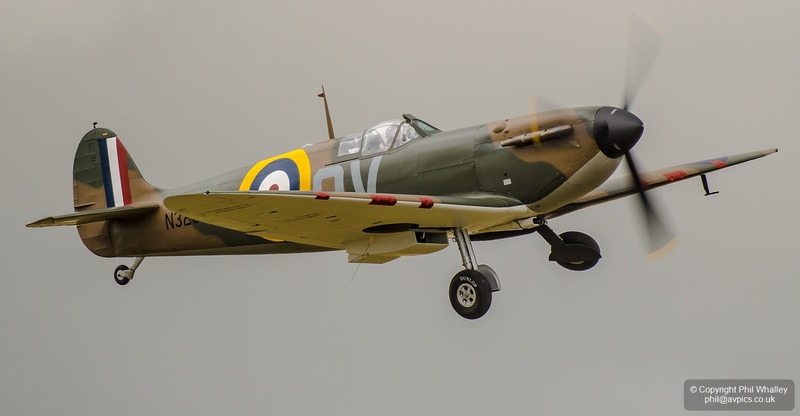 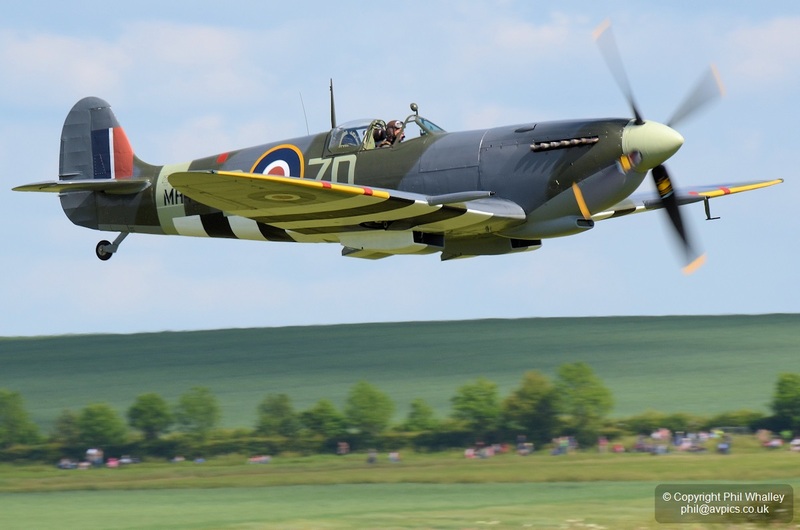 A number of aircraft have had invasion stripes applied for the commemorations, with those on the Grace Spitfire ML407 purposely painted in an accurately rough fashion typical of the time.